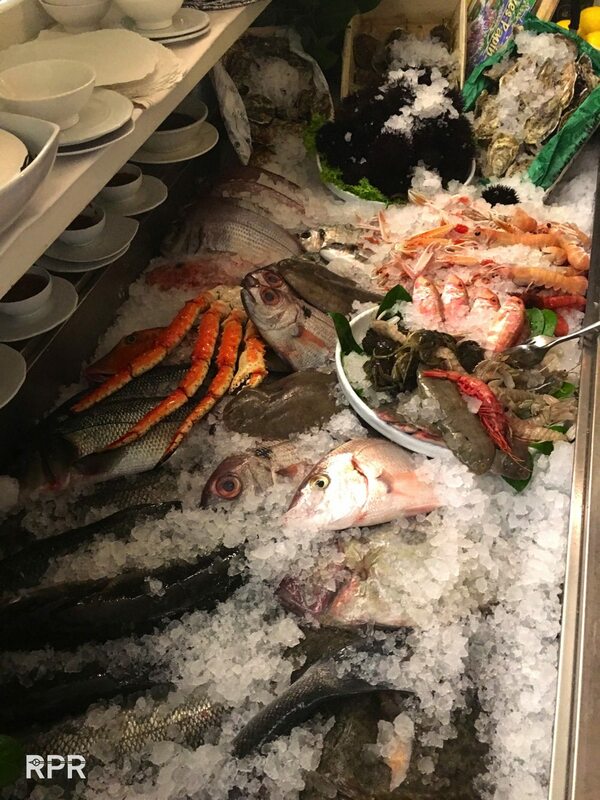 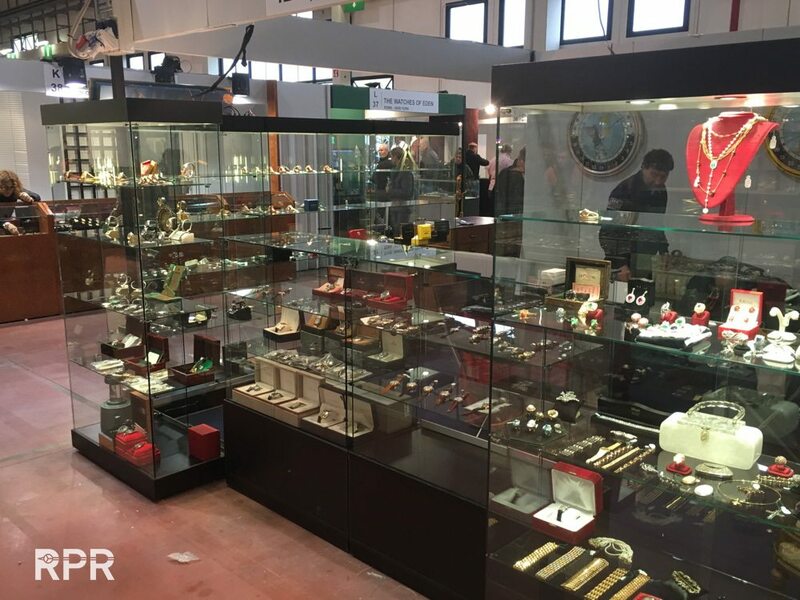 The market didn’t collapse, the prices didn’t go down yet and the hundreds of international collectors and dealers who made it to Parma, was higher then at the previous edition. 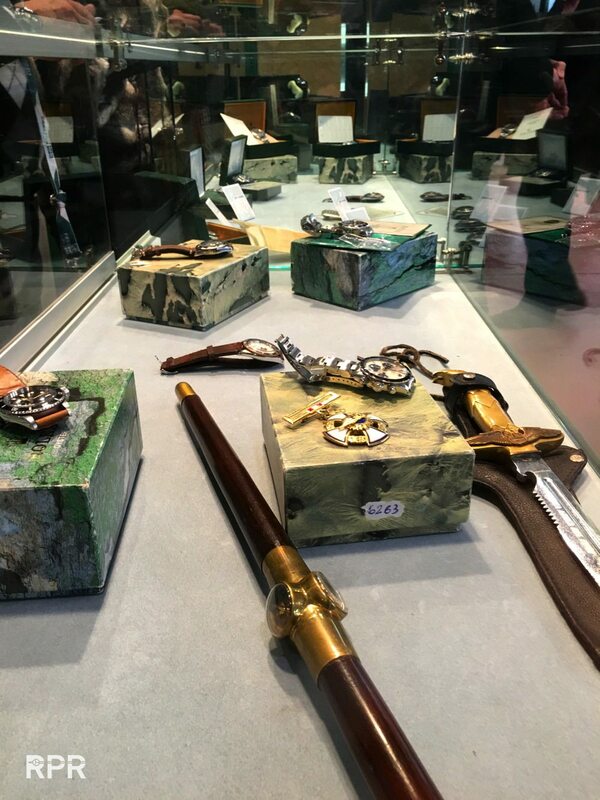 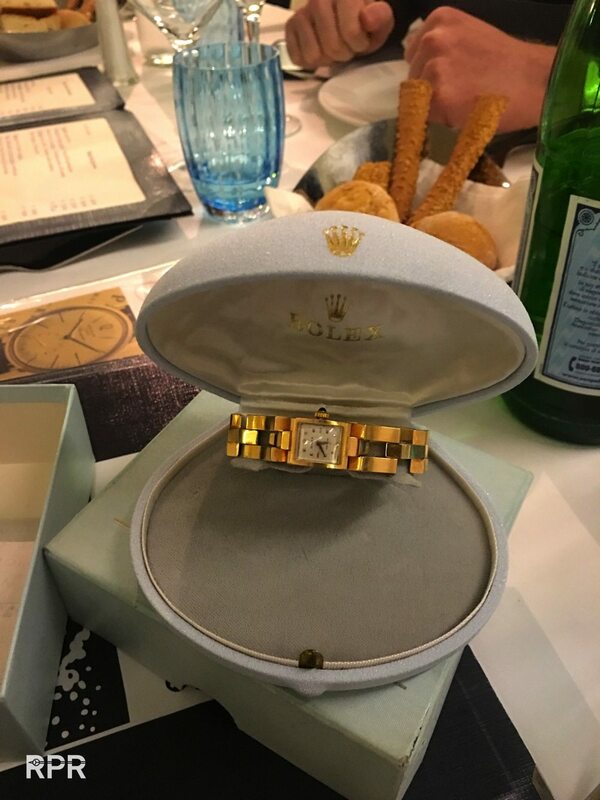 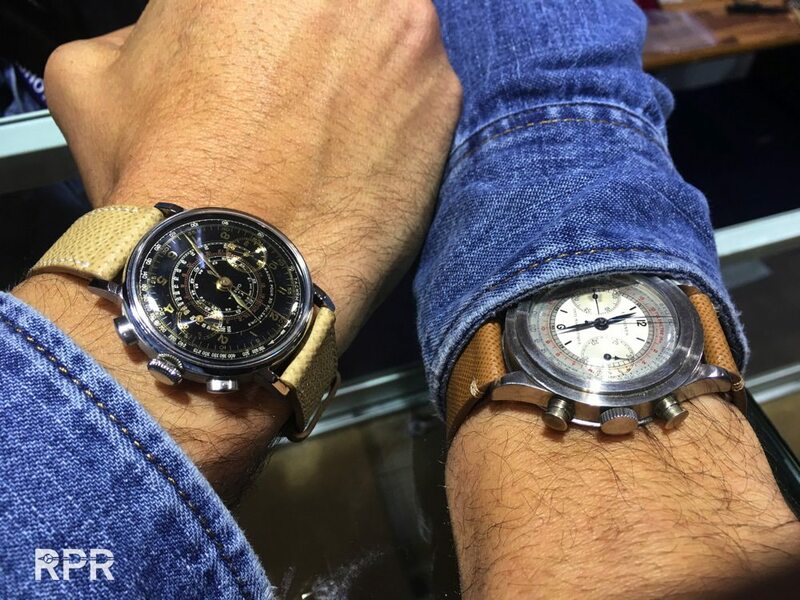 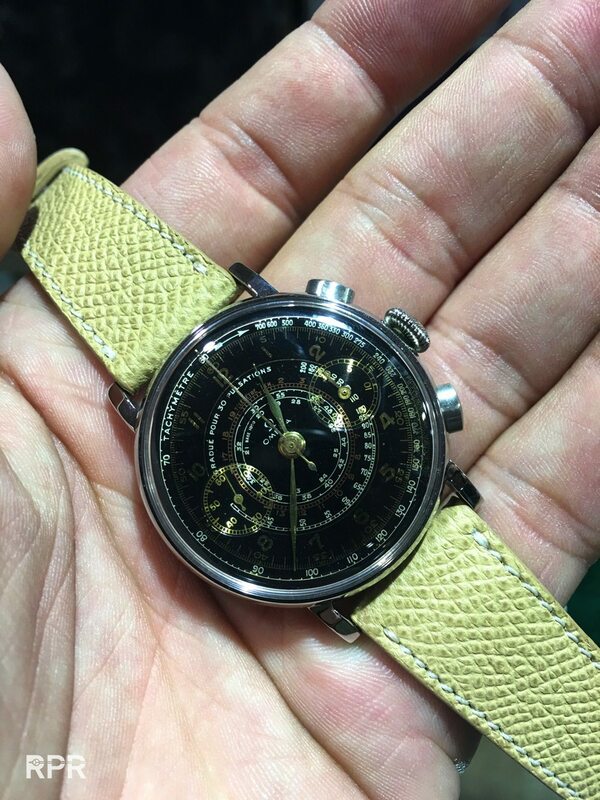 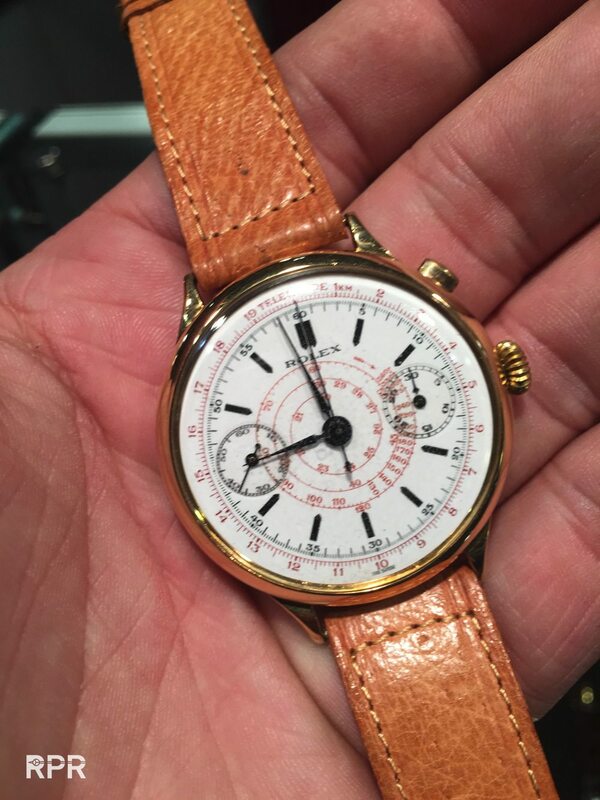 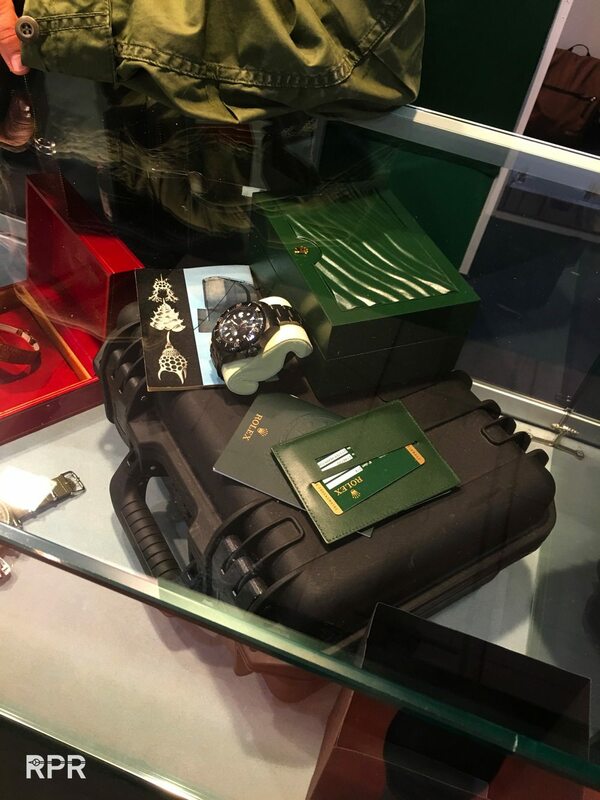 So don’t suspect I’ll be writing something else then I already did about all the “Parma Watch Show” – Mercante Fiera di Parma I’ve visited and reported about so far. 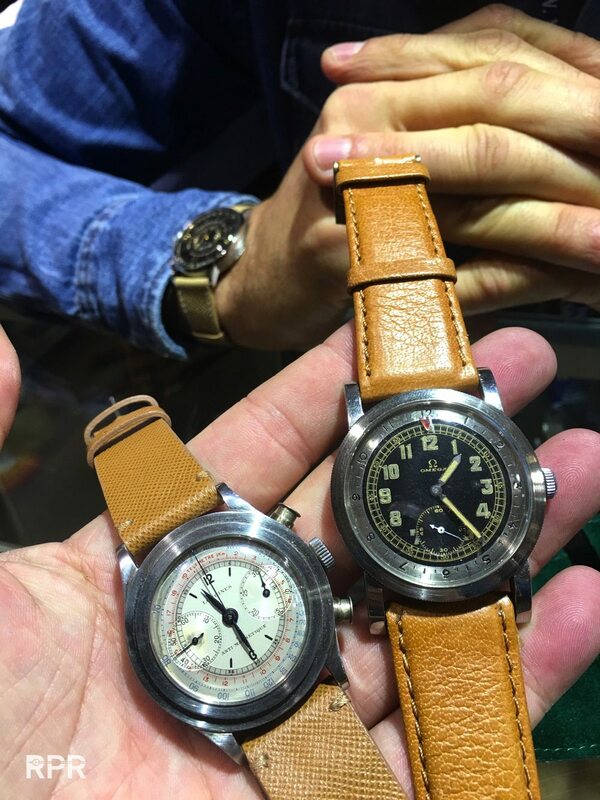 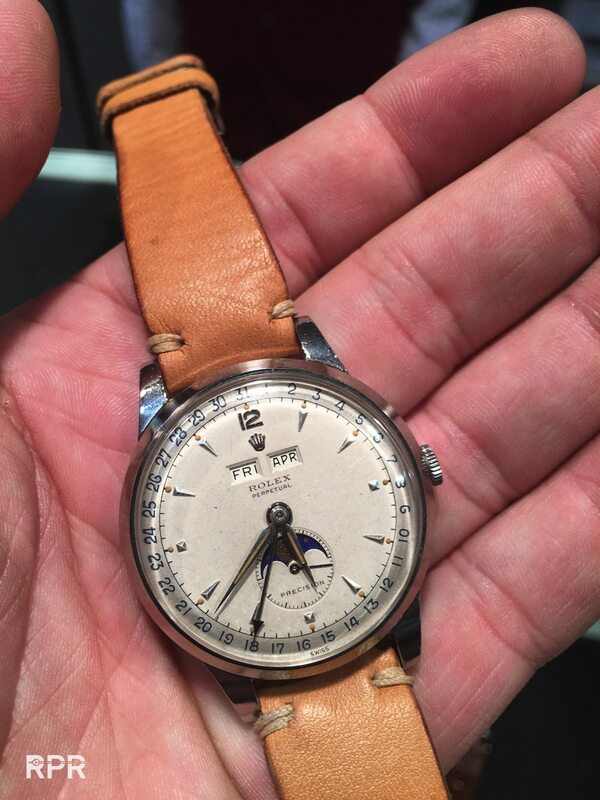 Twice a year vintage watch lovers and dealers come to Italia for this particular show. 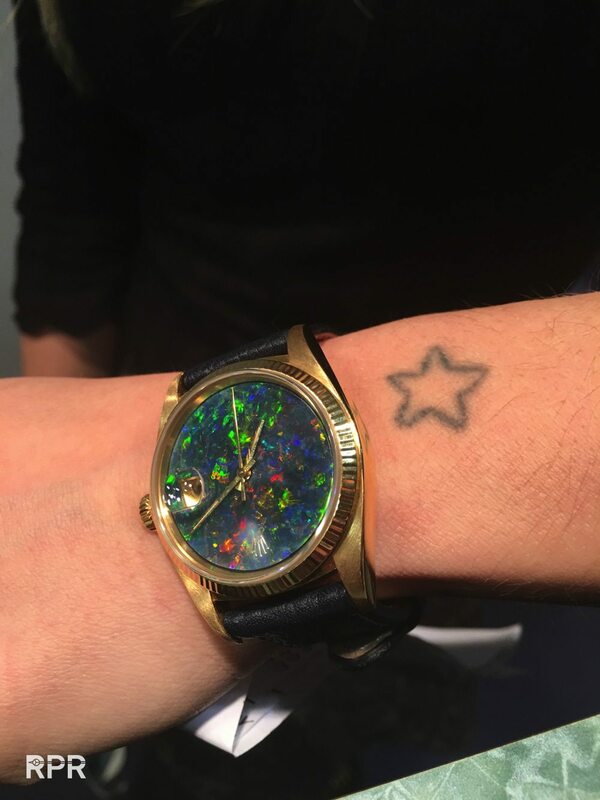 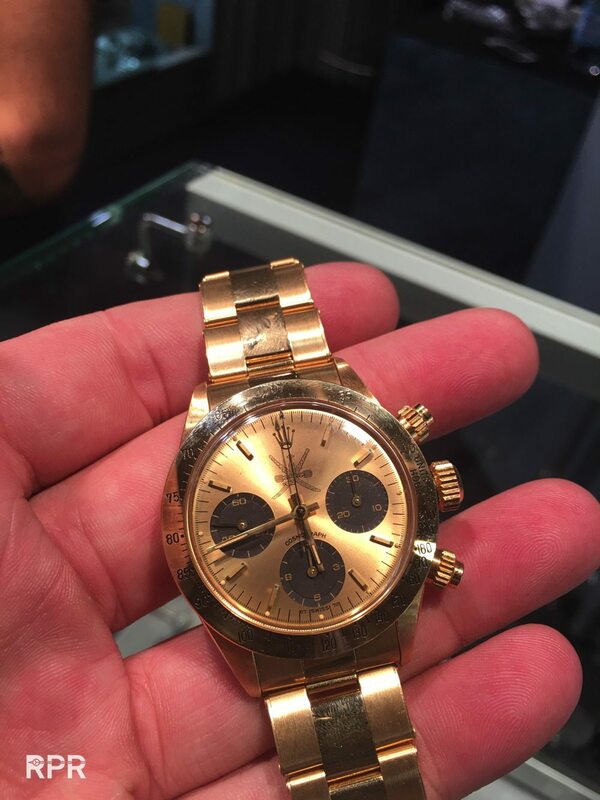 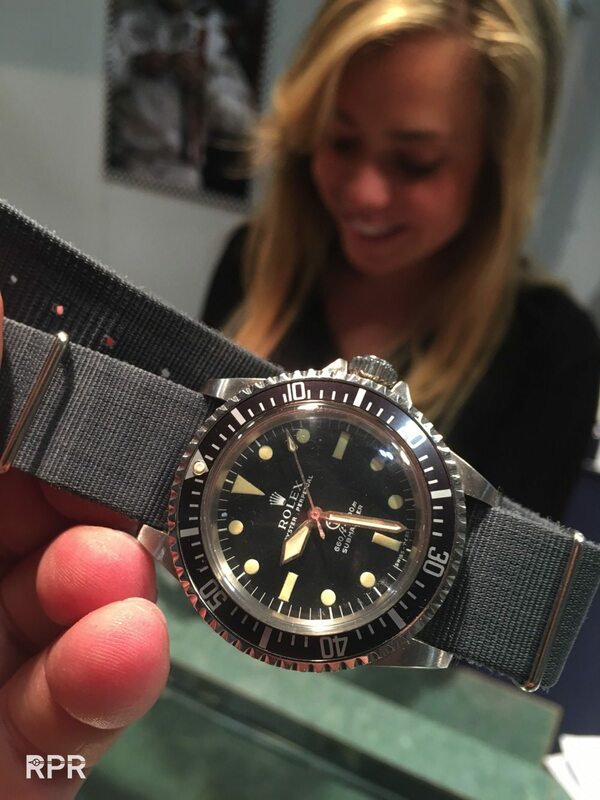 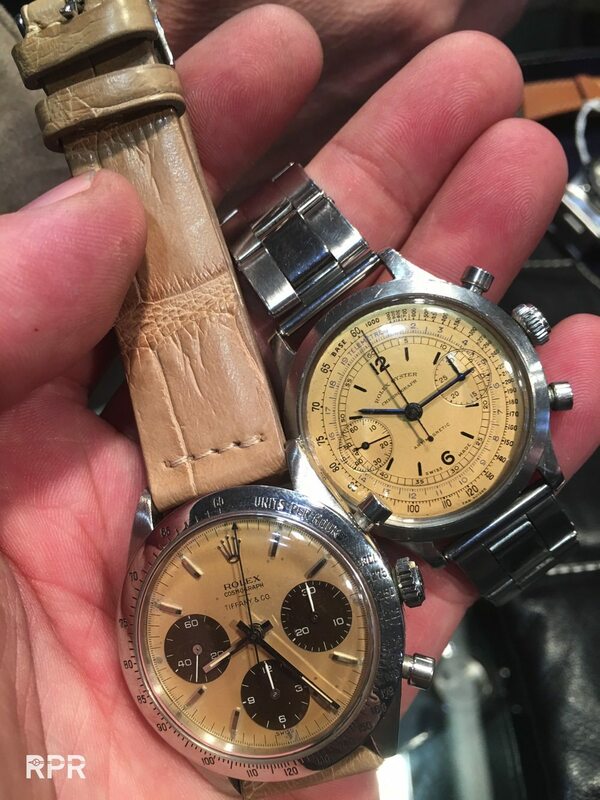 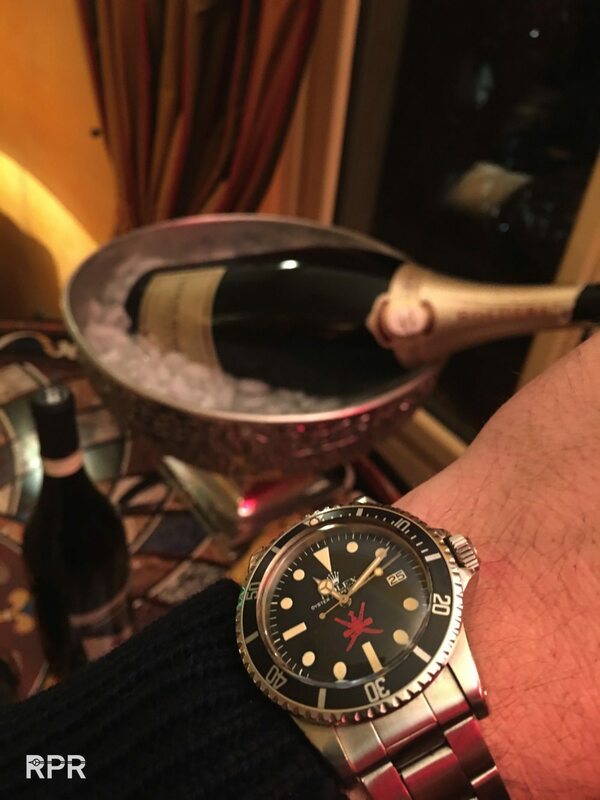 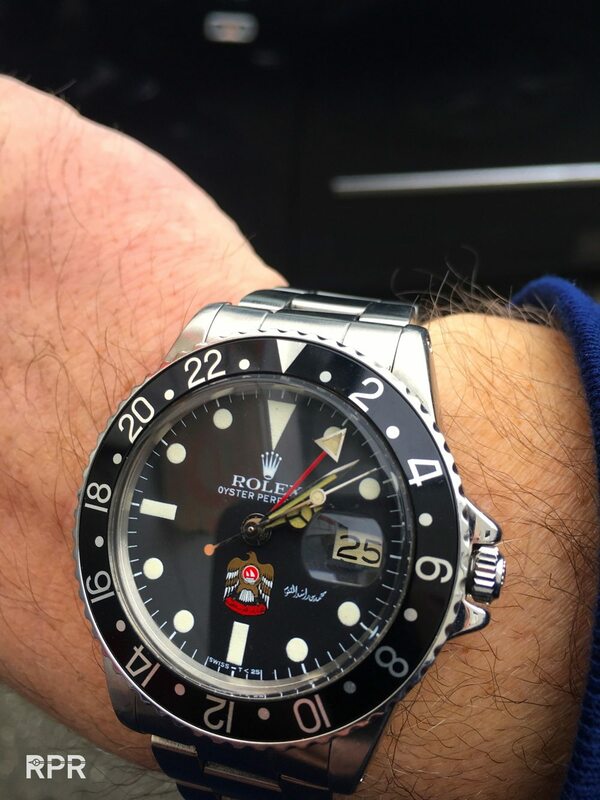 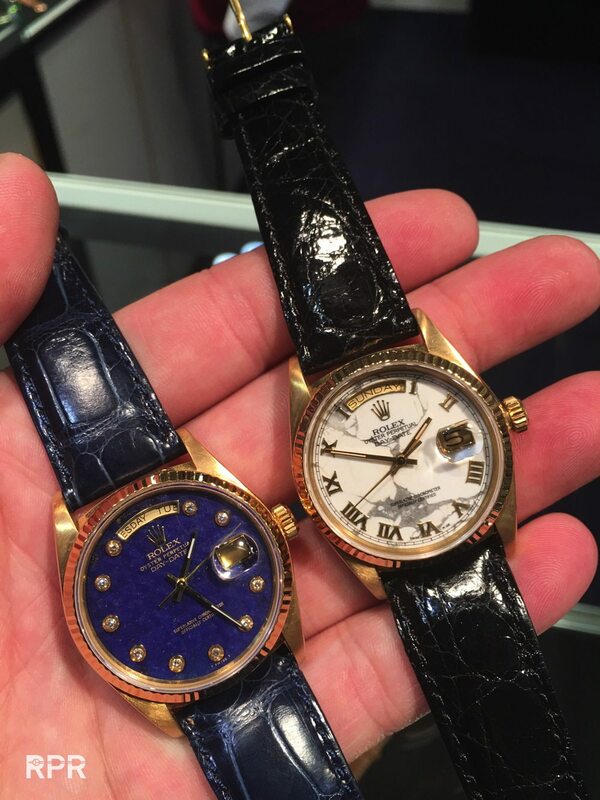 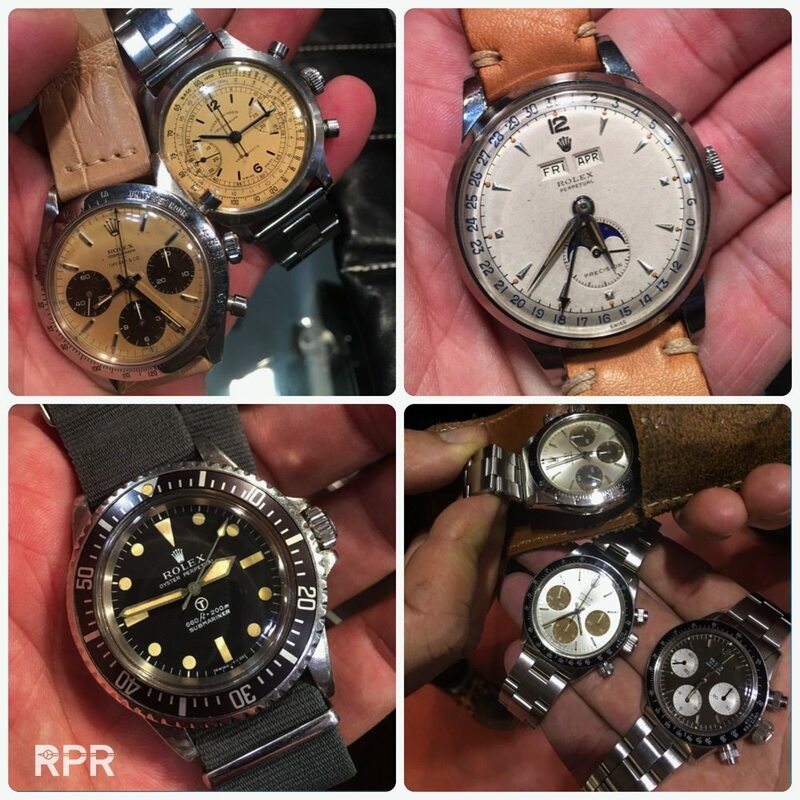 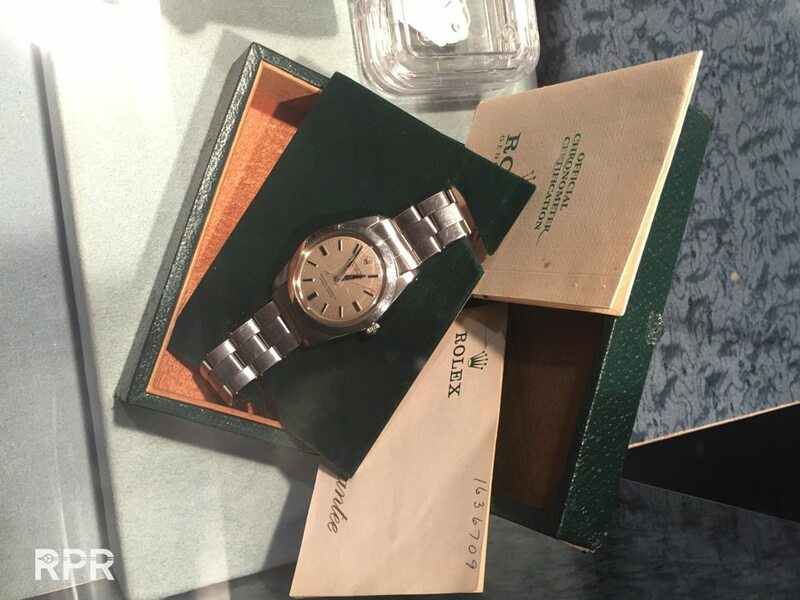 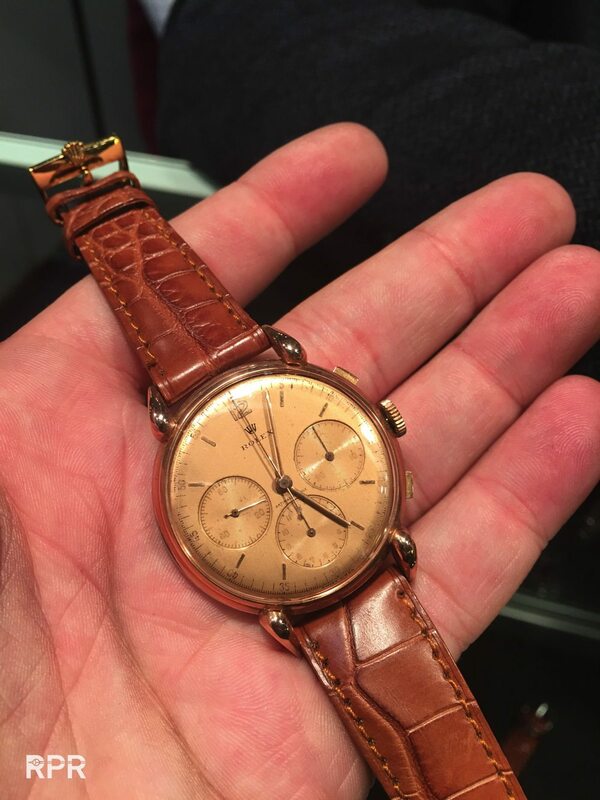 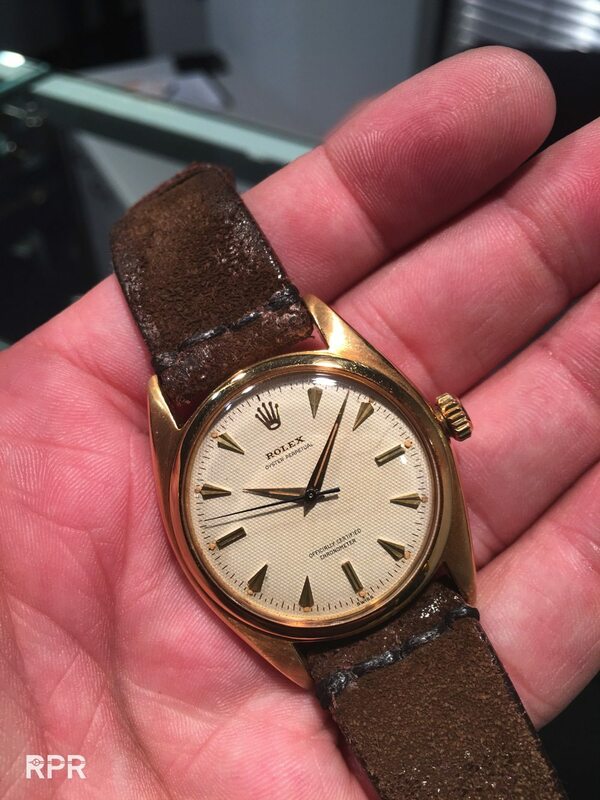 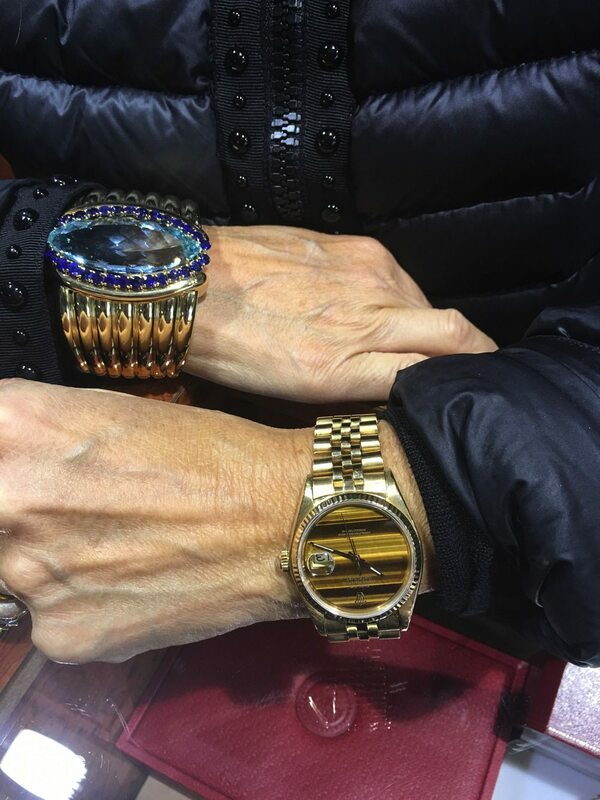 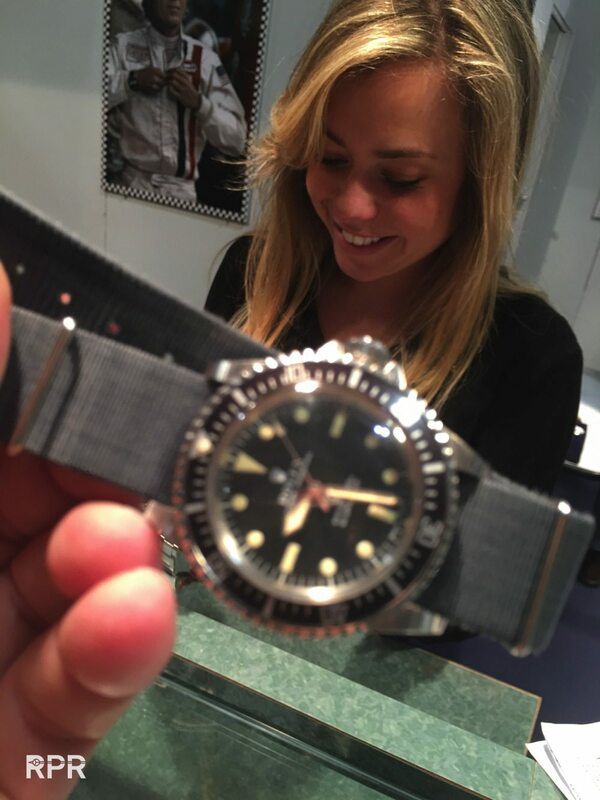 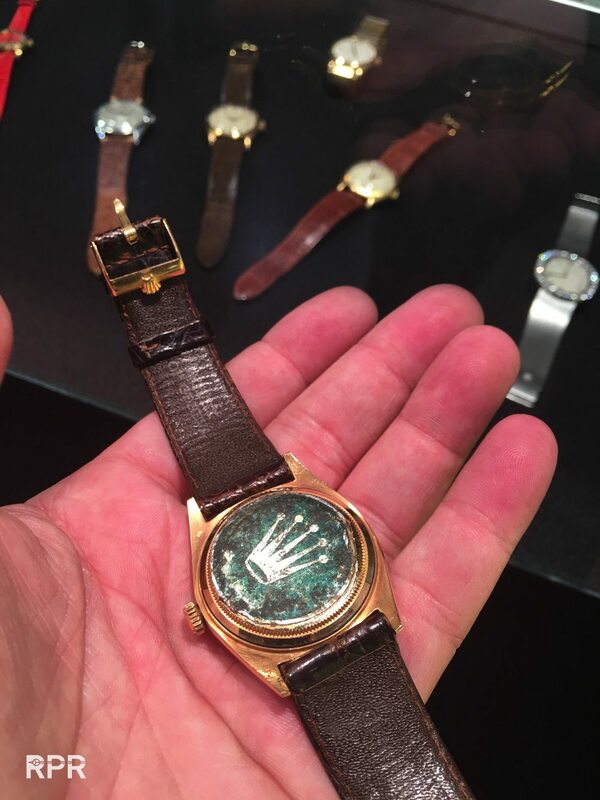 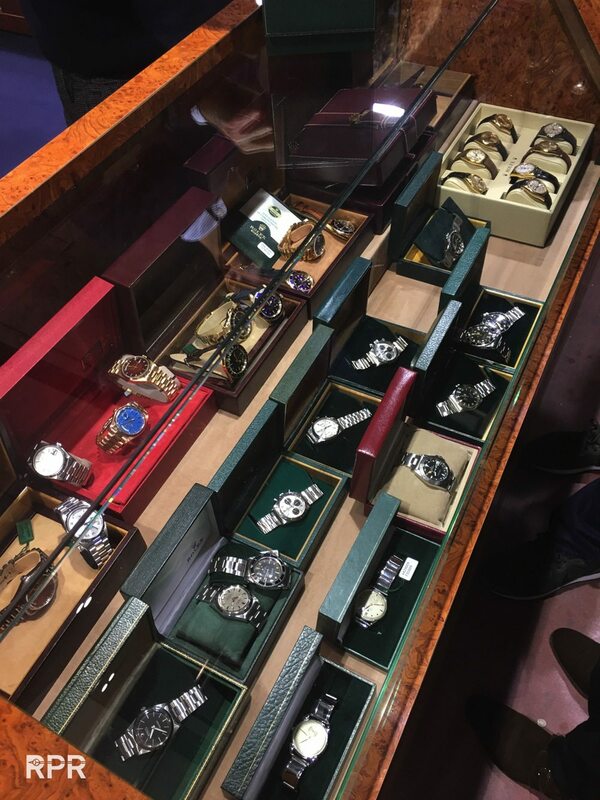 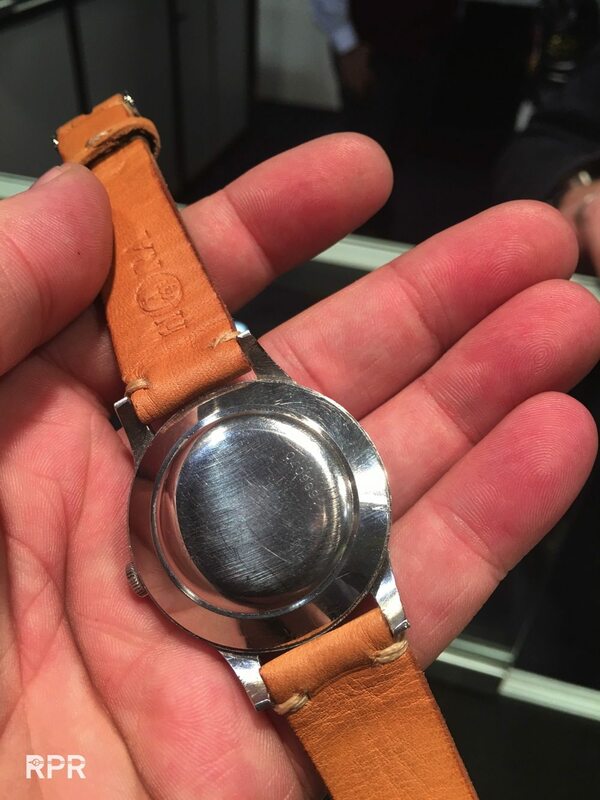 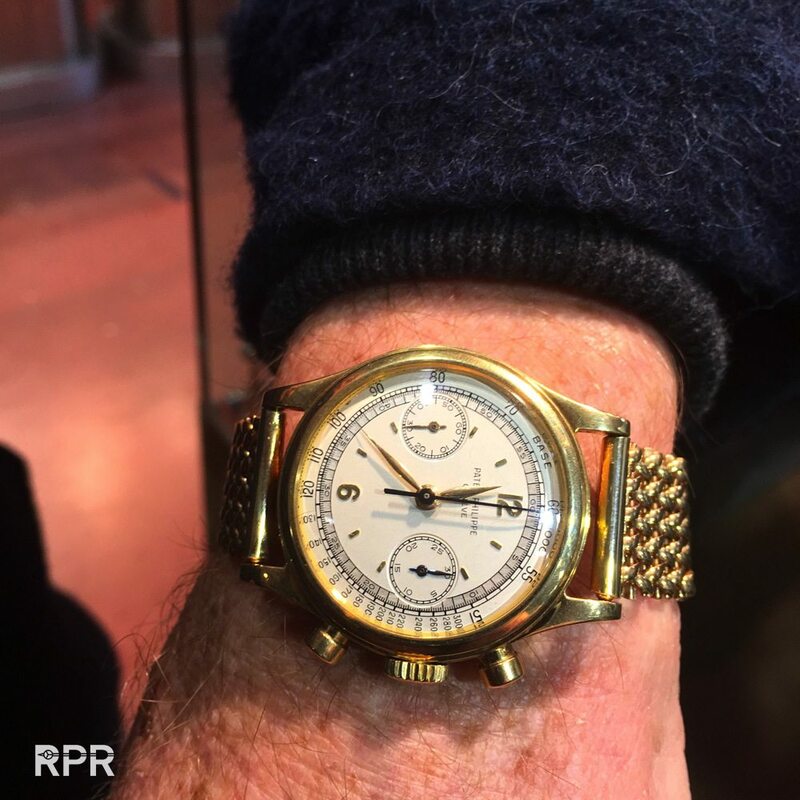 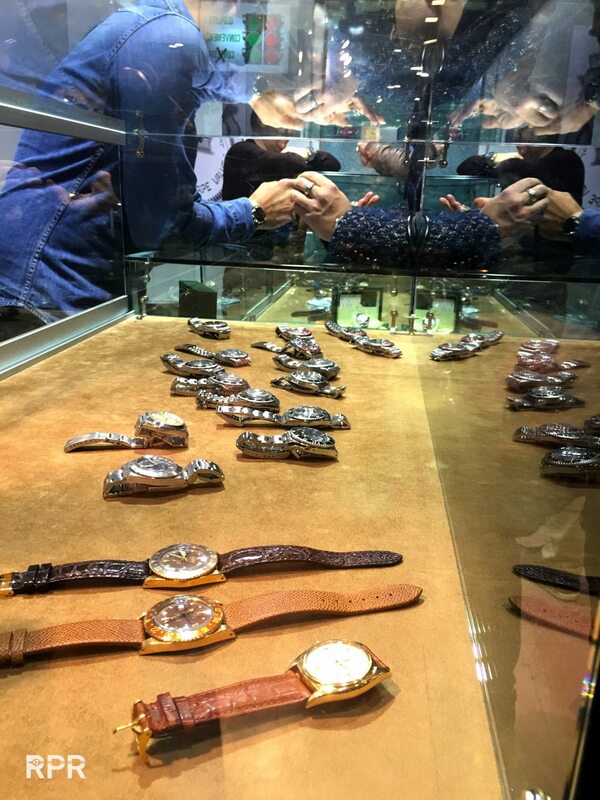 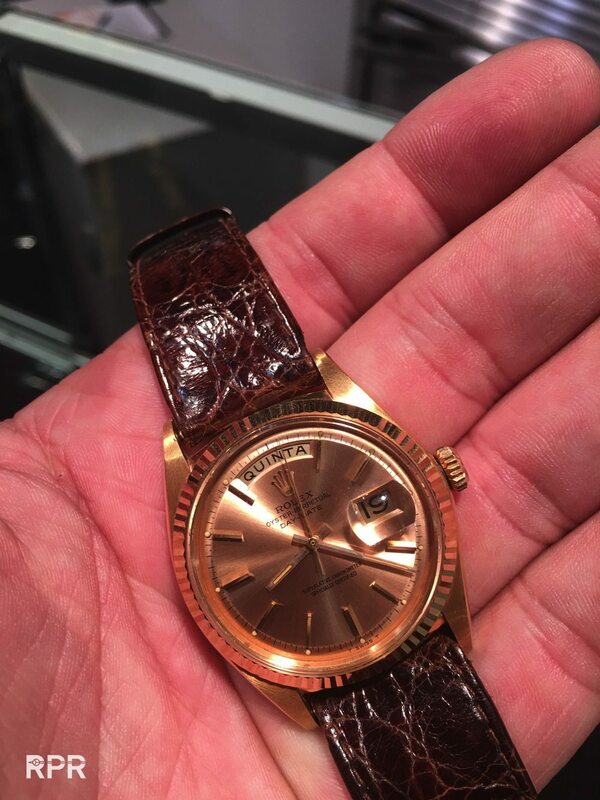 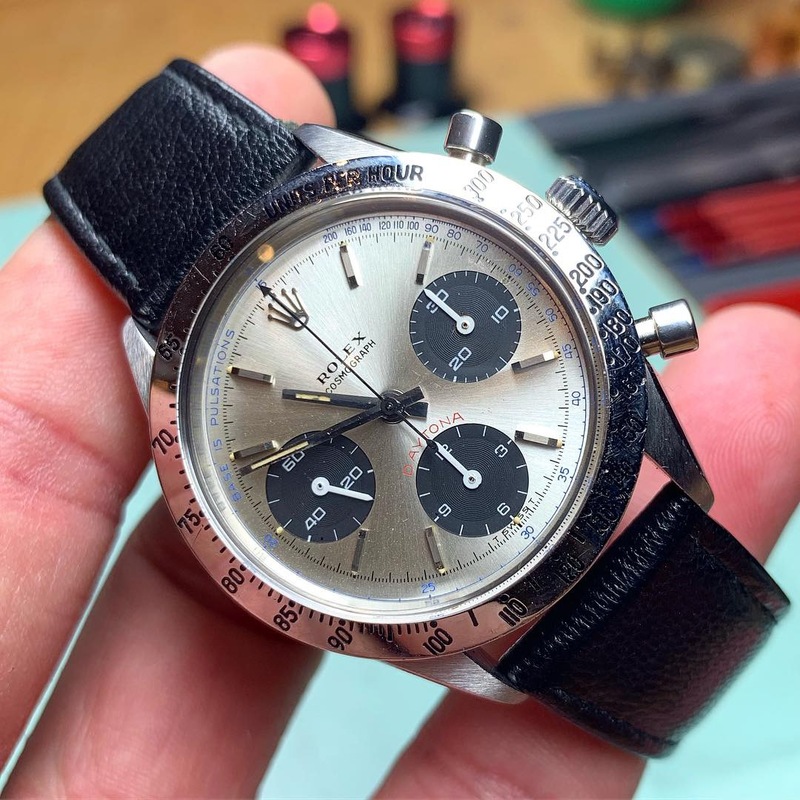 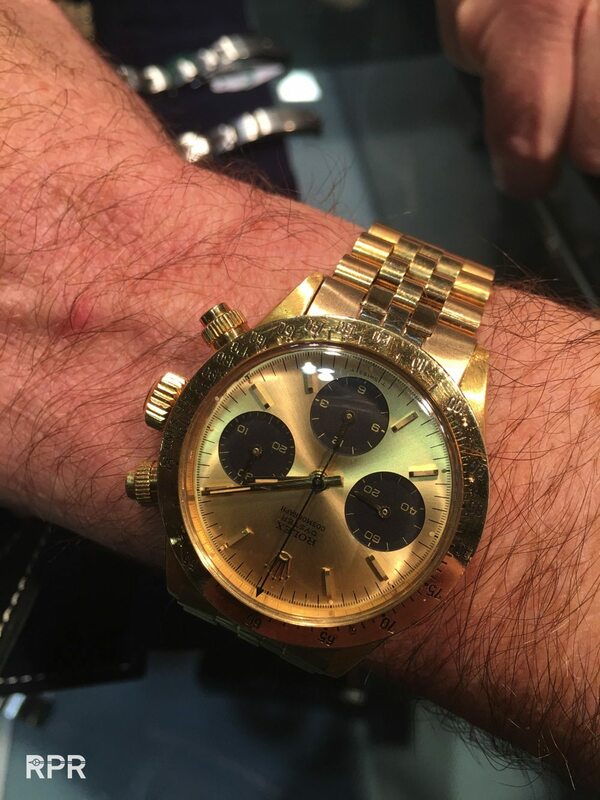 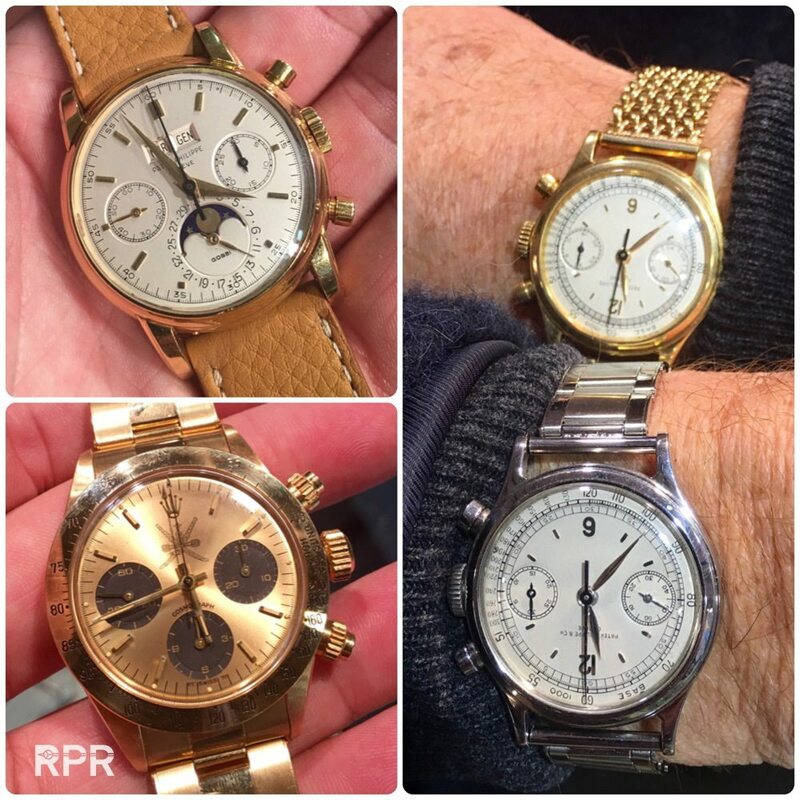 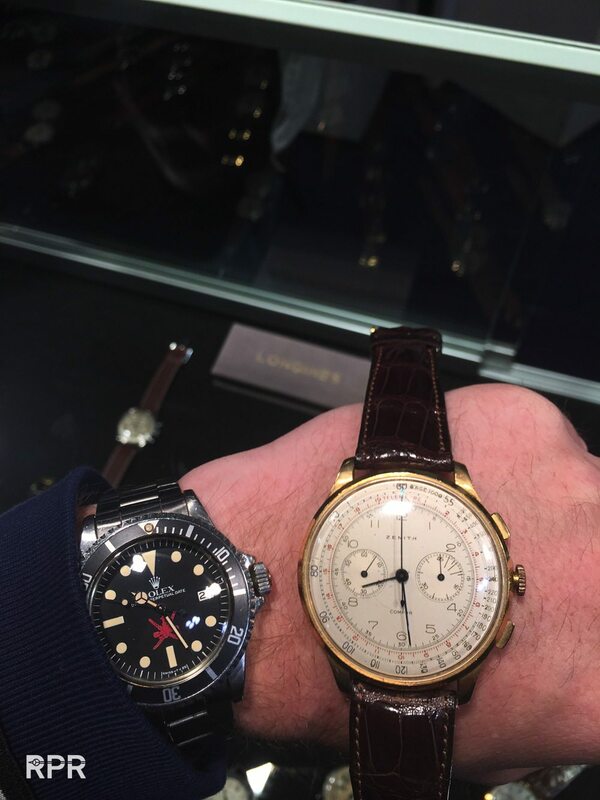 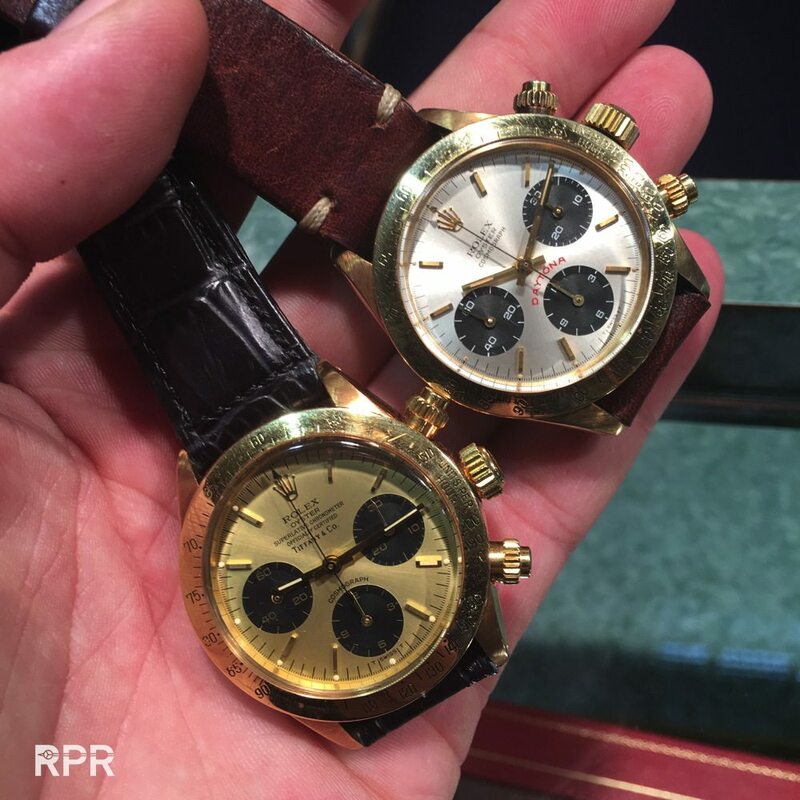 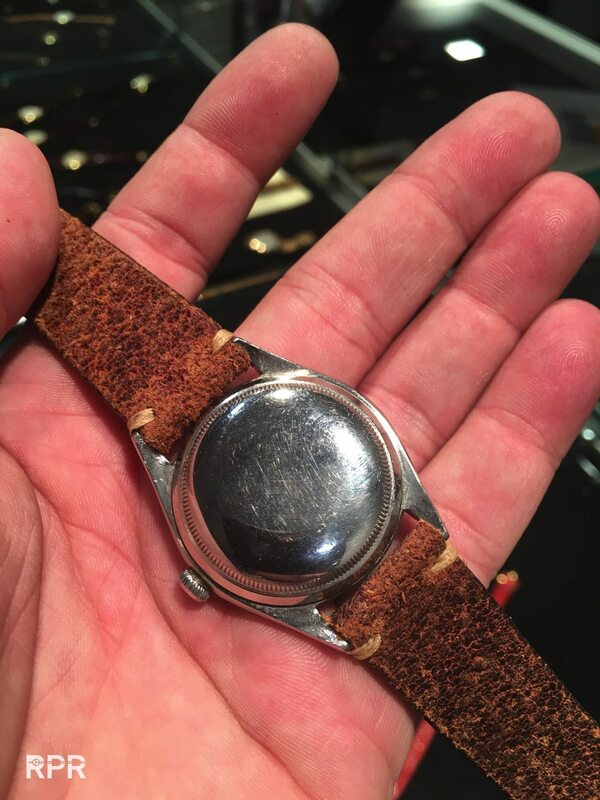 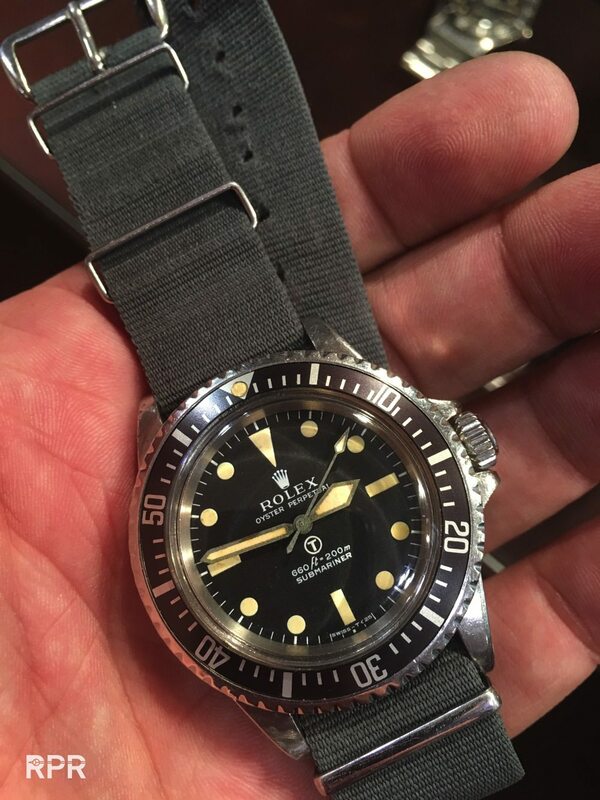 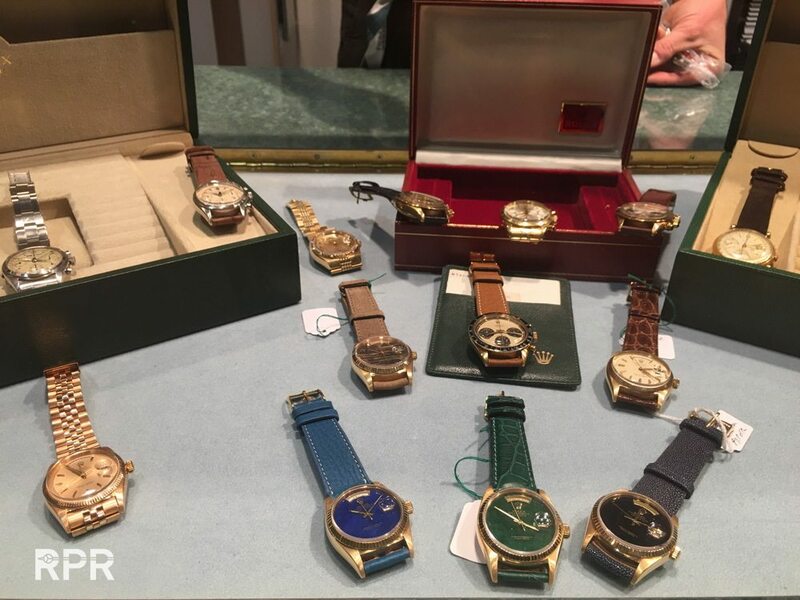 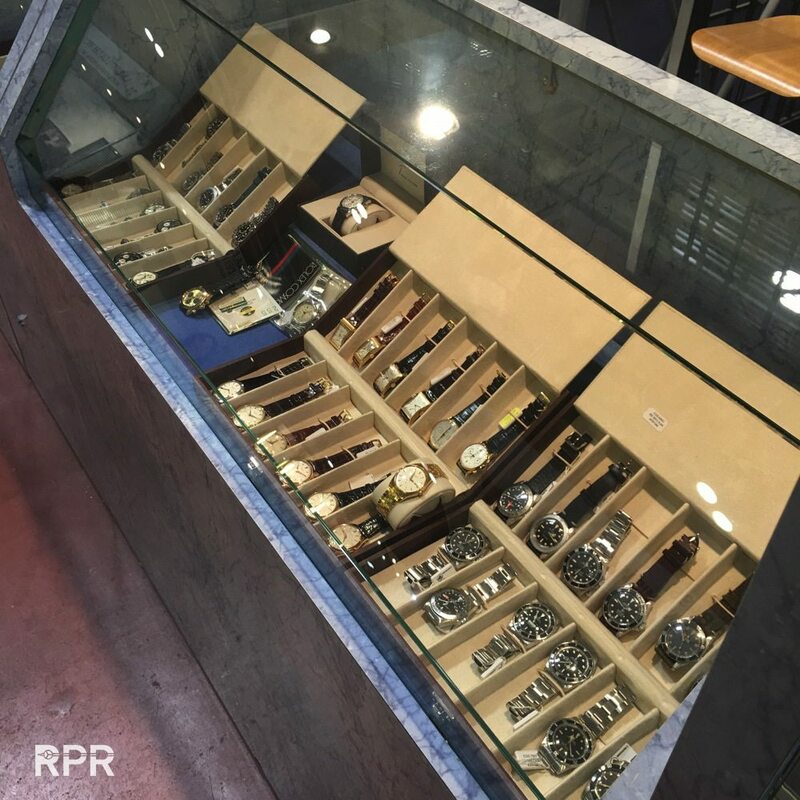 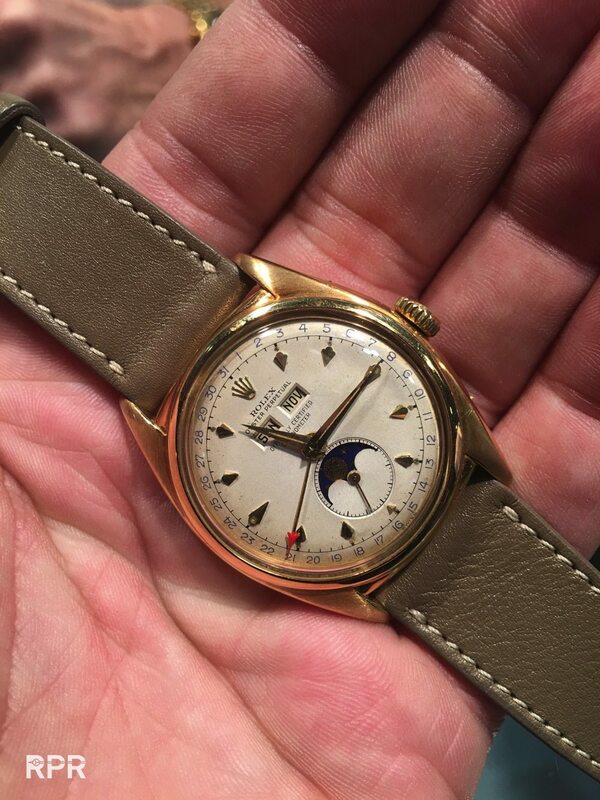 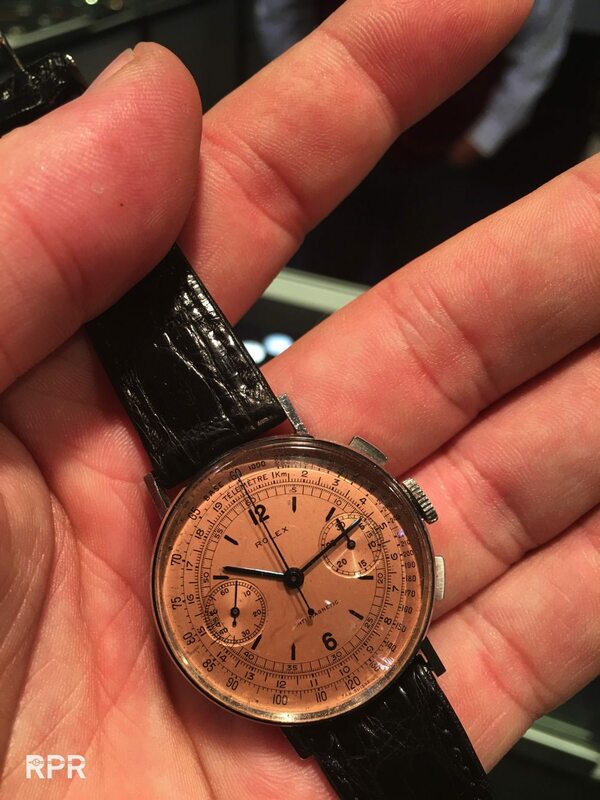 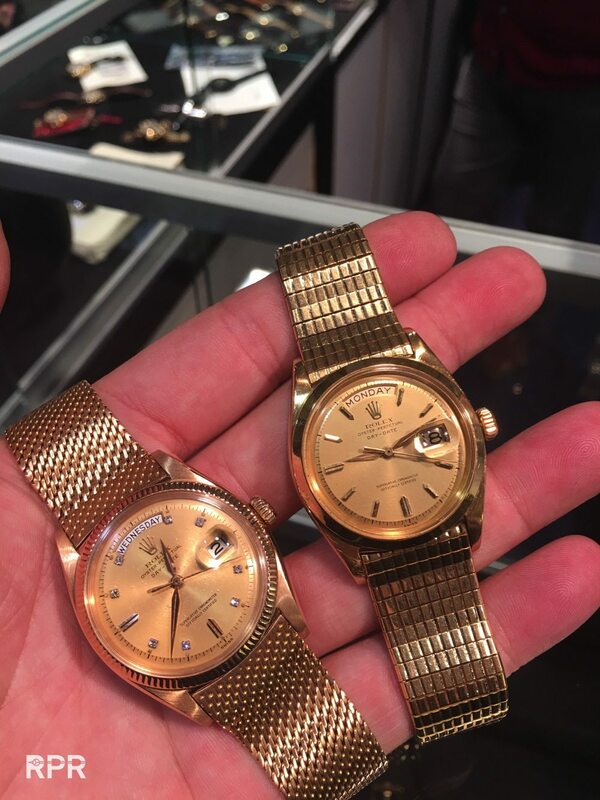 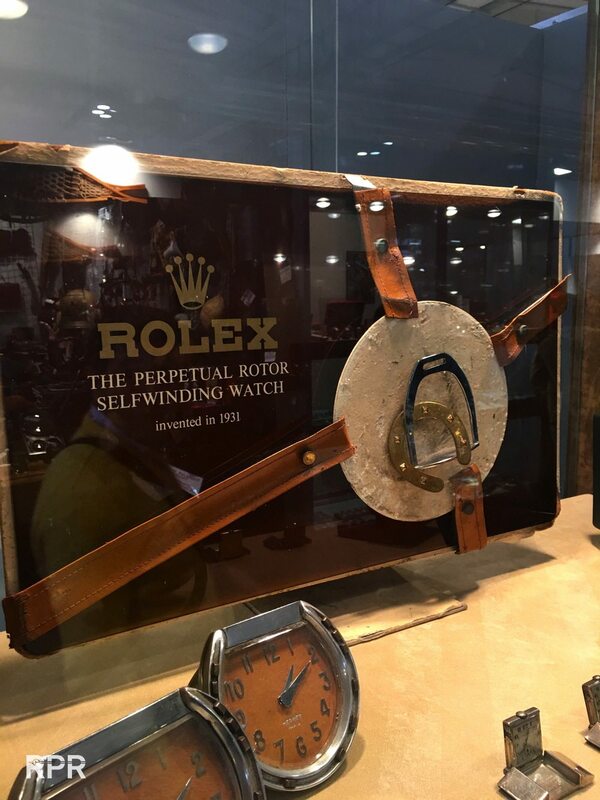 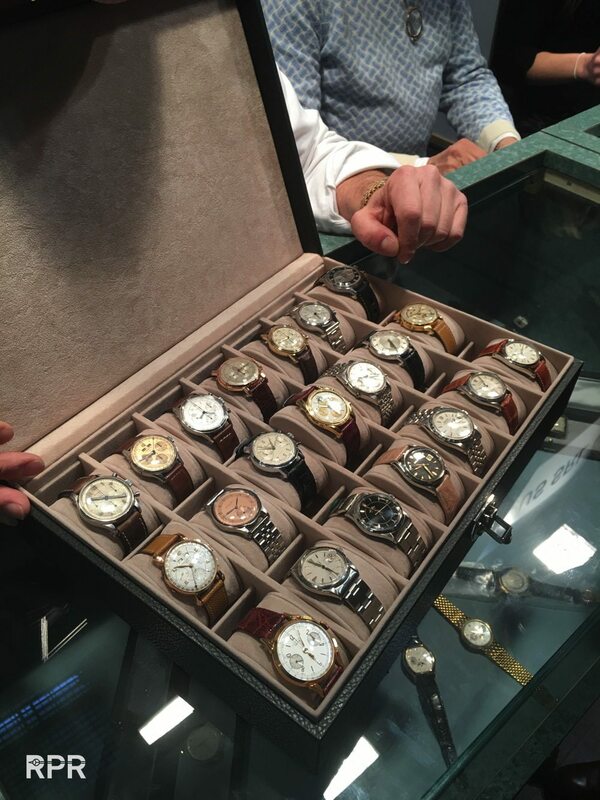 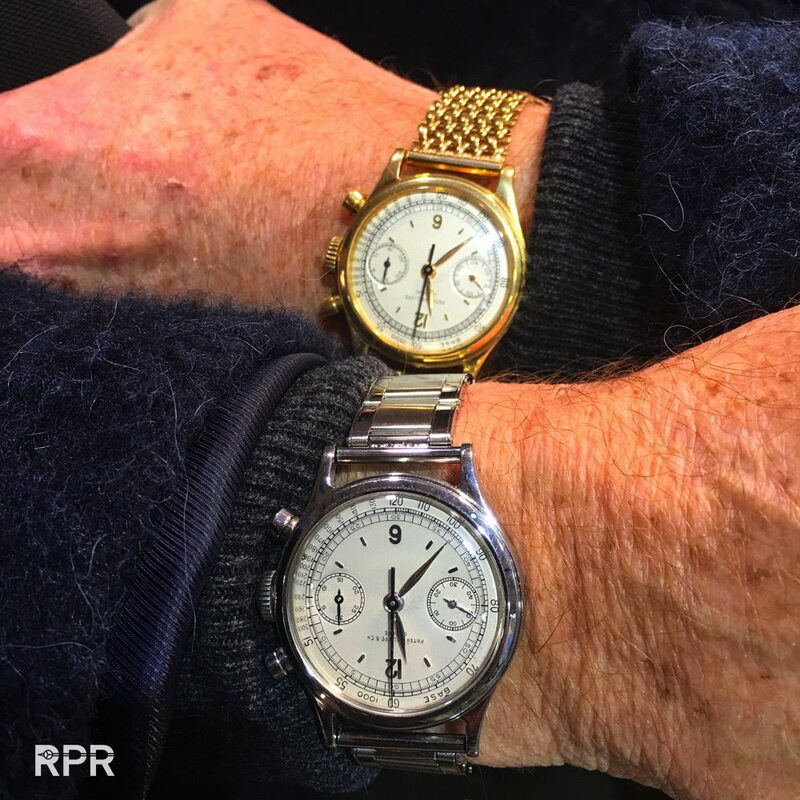 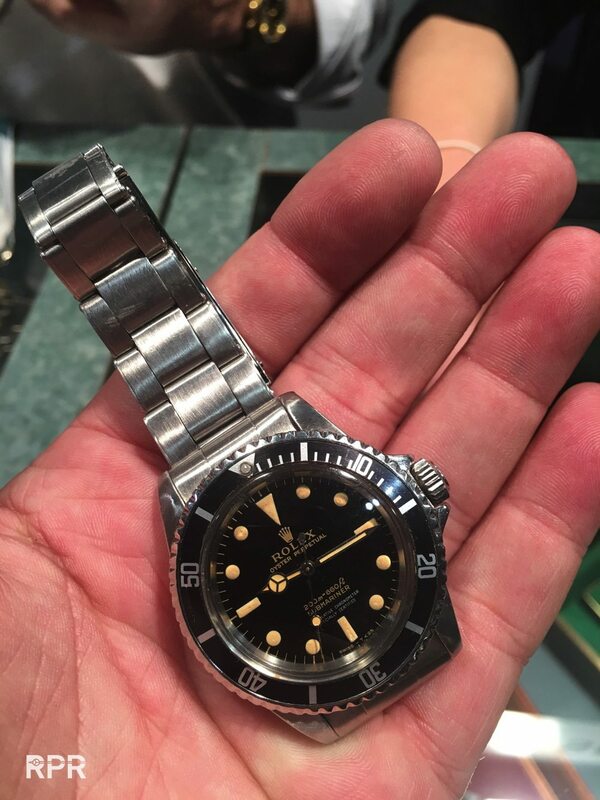 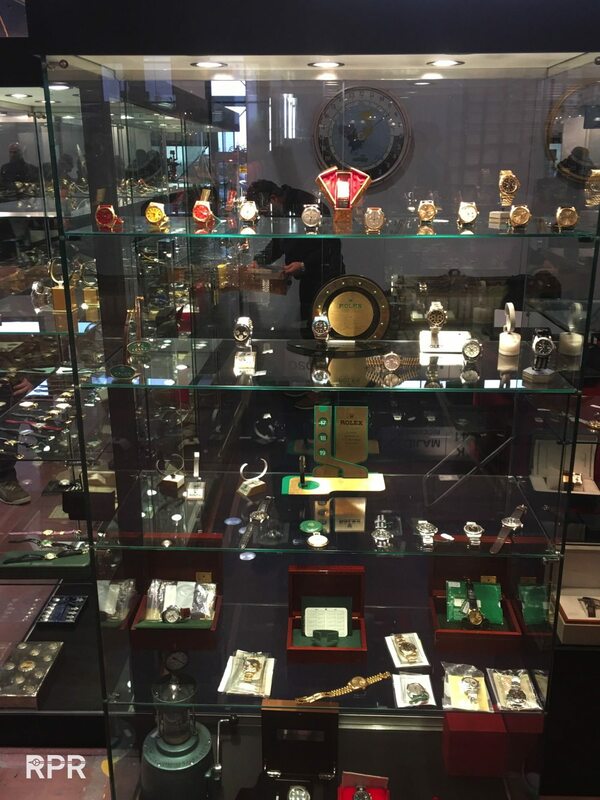 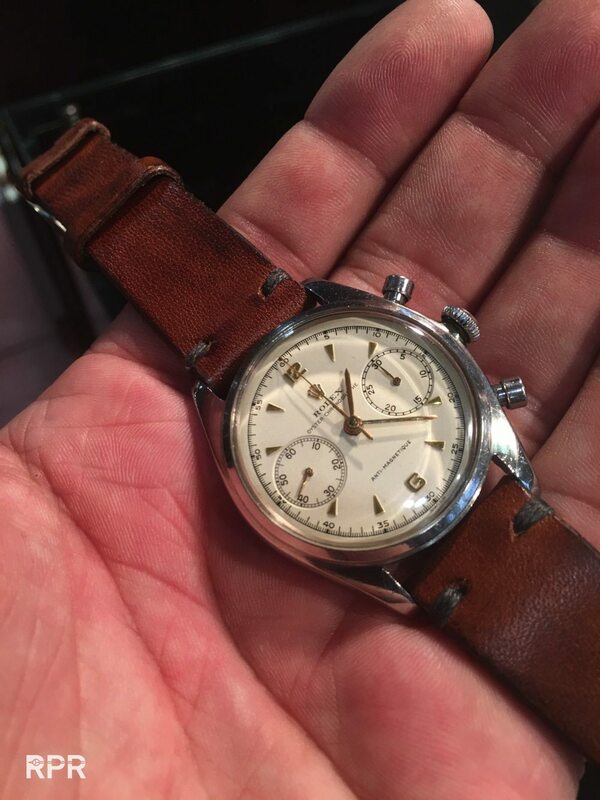 Although I missed several familiair faces, I believe I have met everybody that has something to say in the vintage Rolex market. 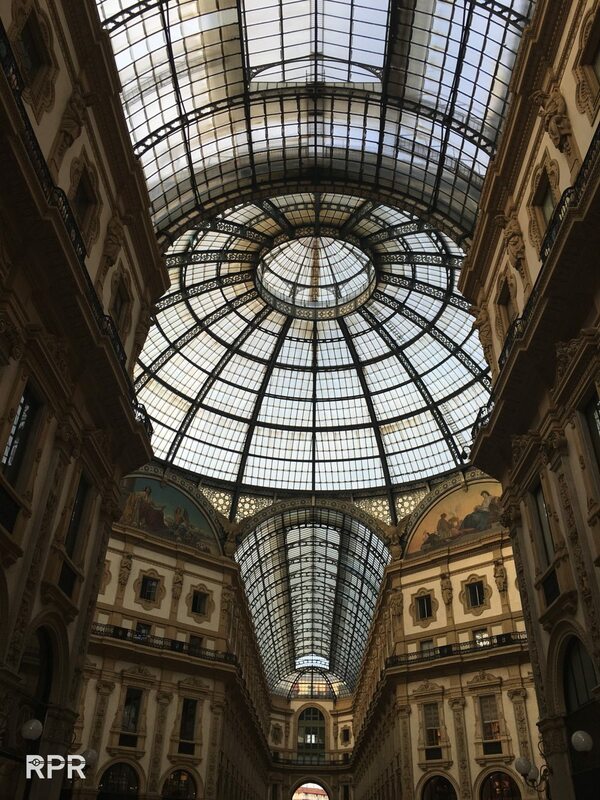 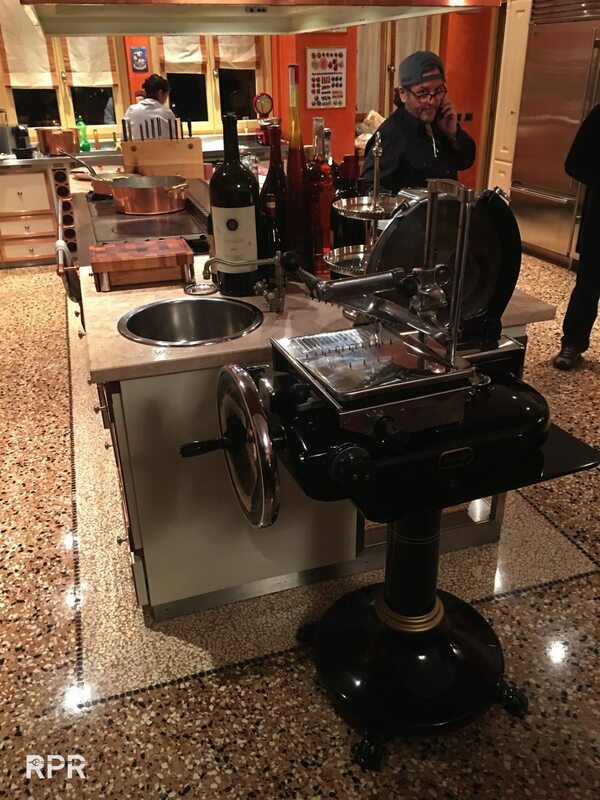 A group of international “inner circle” dealers got invited to party at Davide Parmegiani’s penthouse downtown Milano the day before the show starts in Parma. 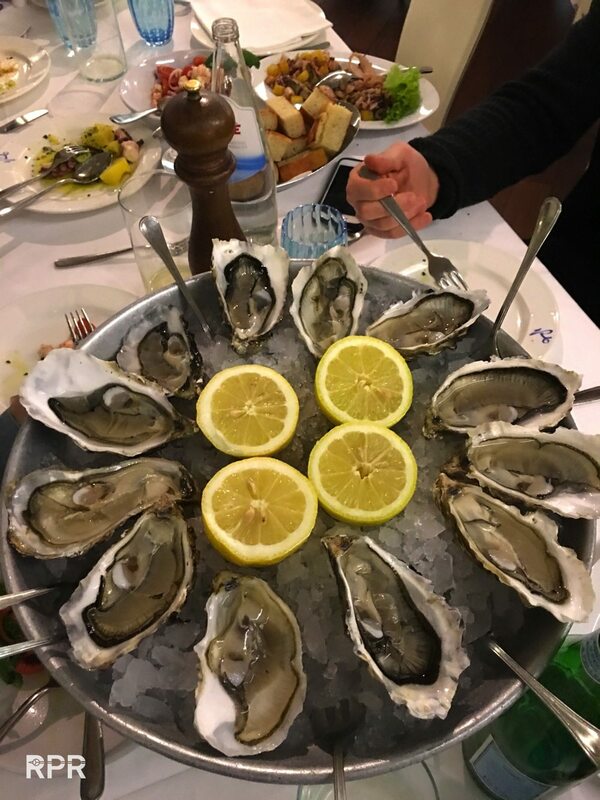 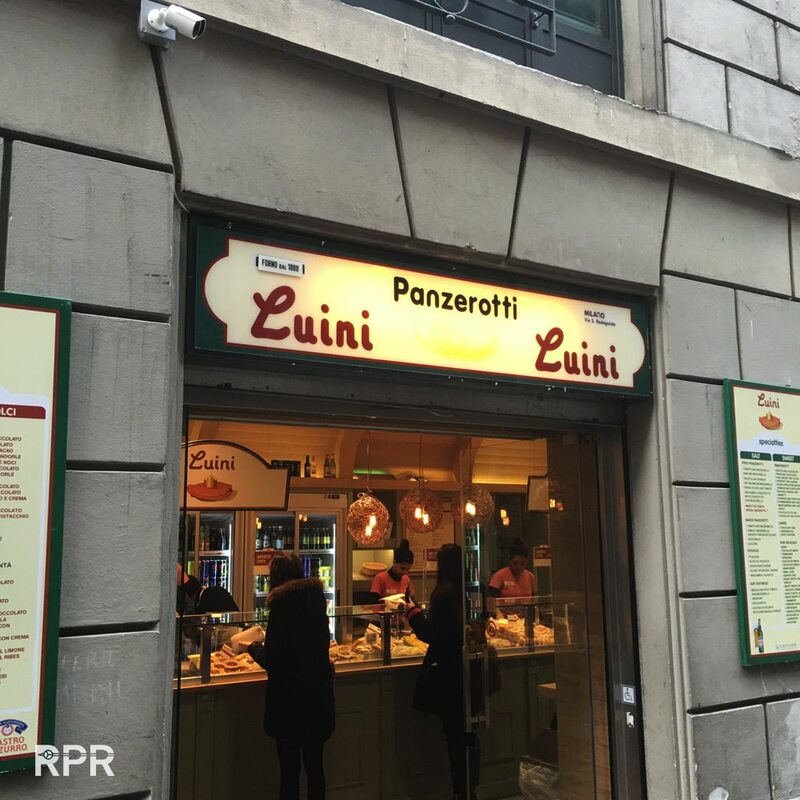 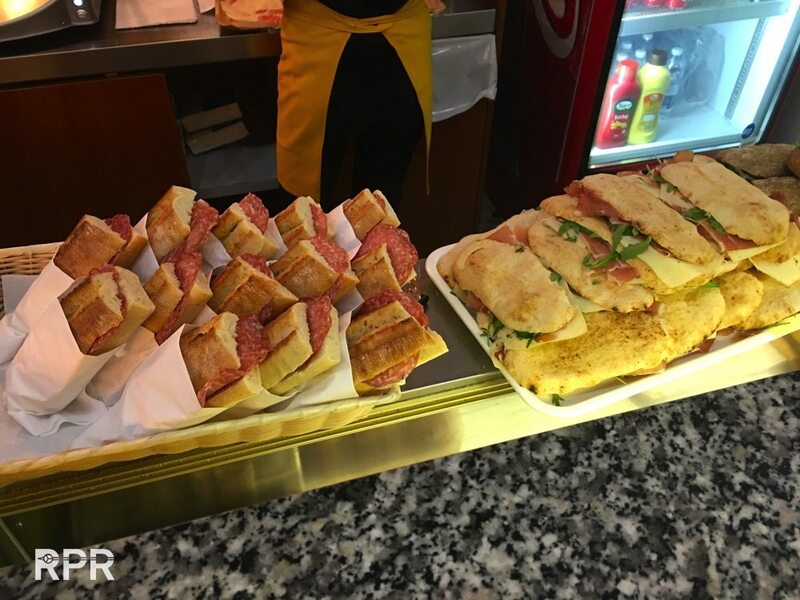 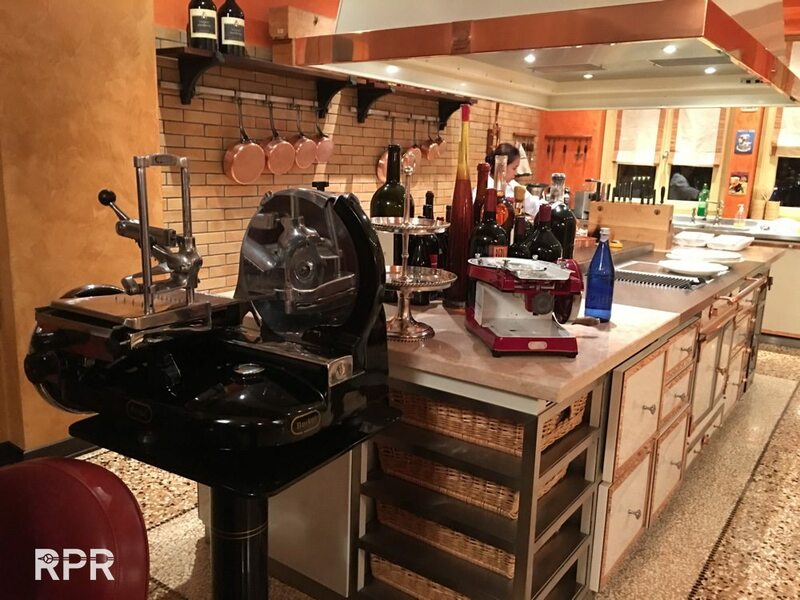 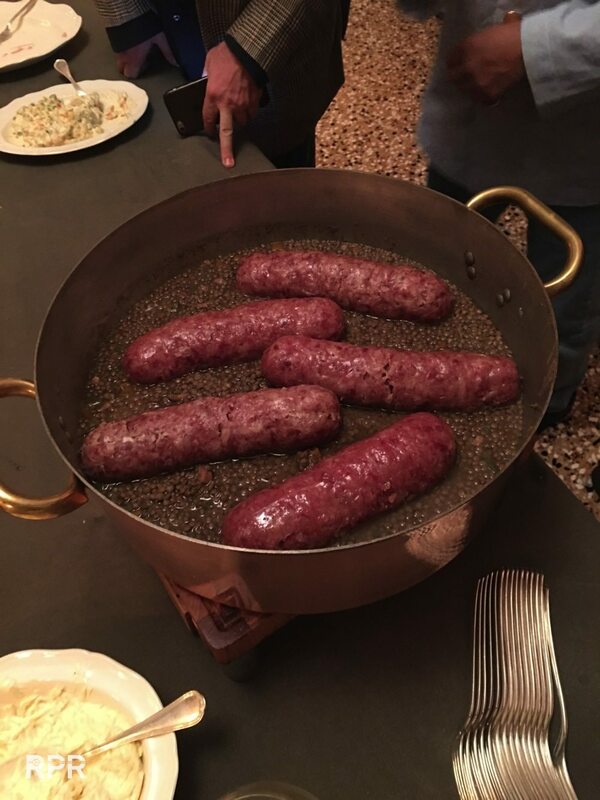 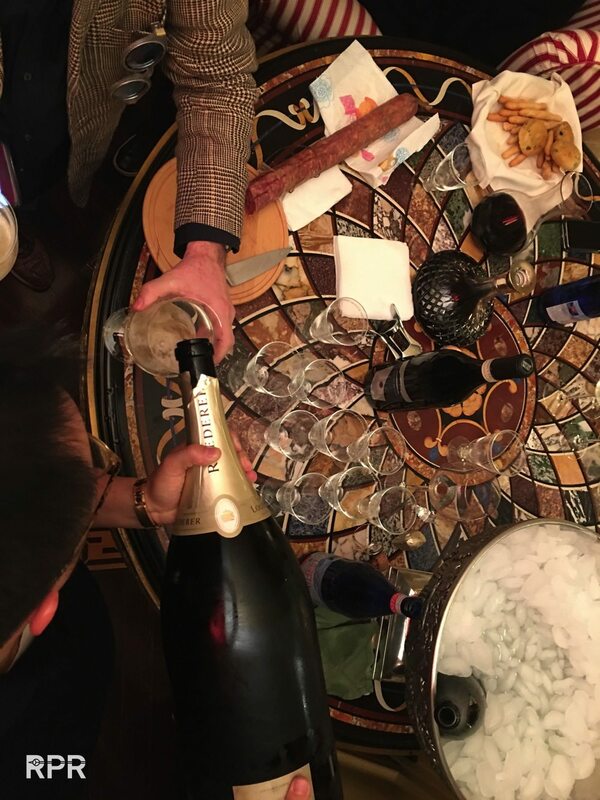 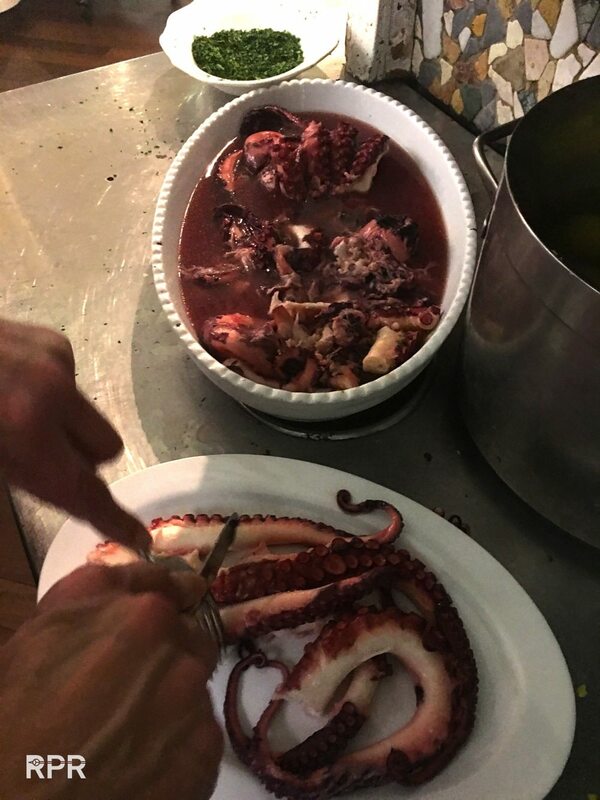 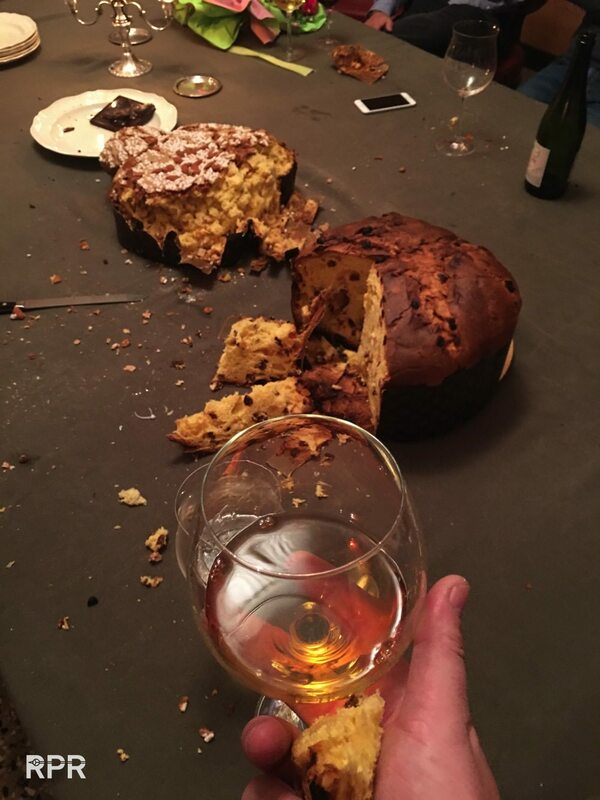 We enjoyed marvelous food and drinks that perfectly represent the good life the italians have! 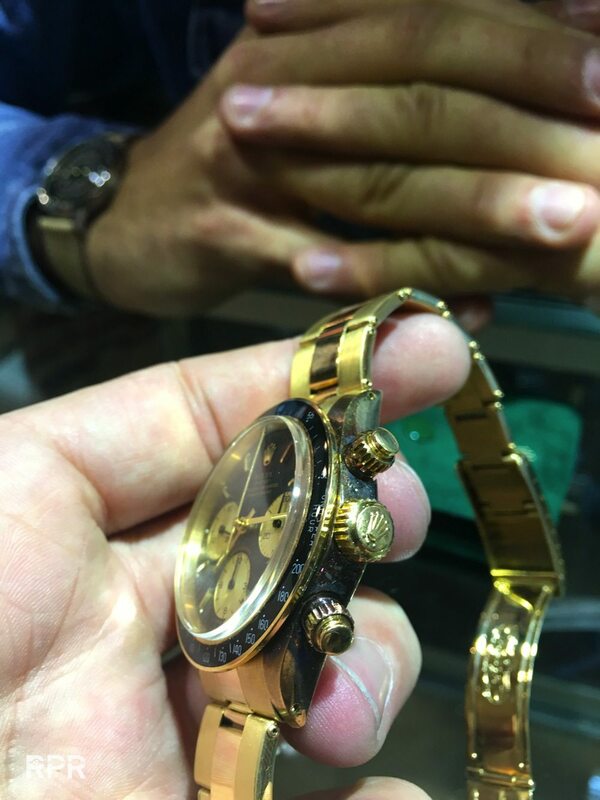 Simple but perfect in every detail. 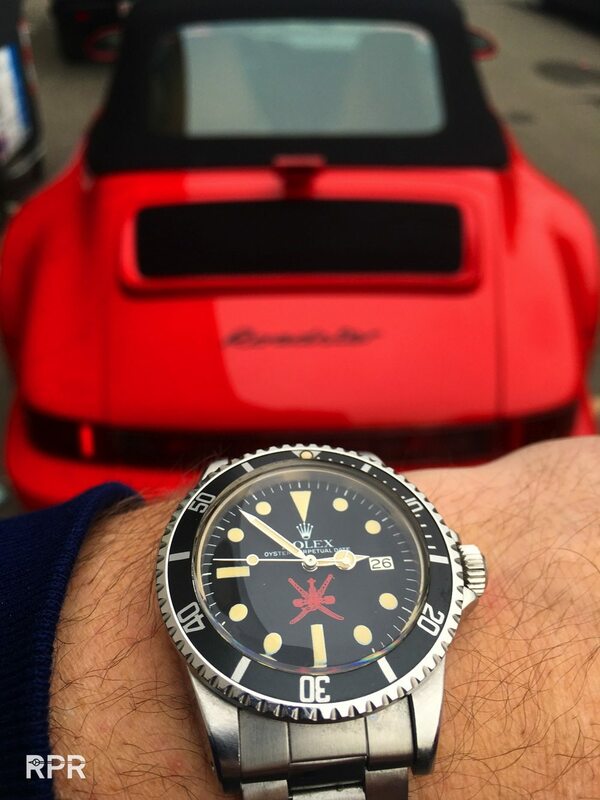 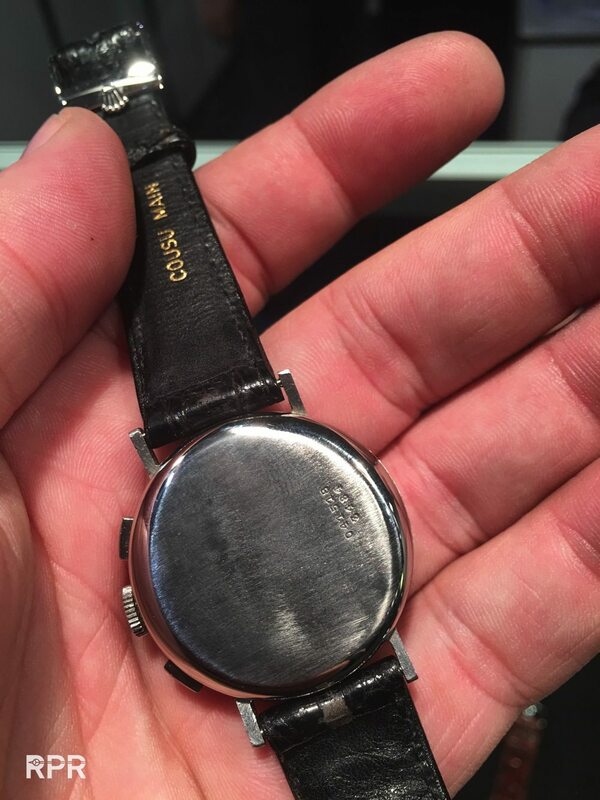 This explains me why so many italians are also great watch collectors, they understand the importance of detail! 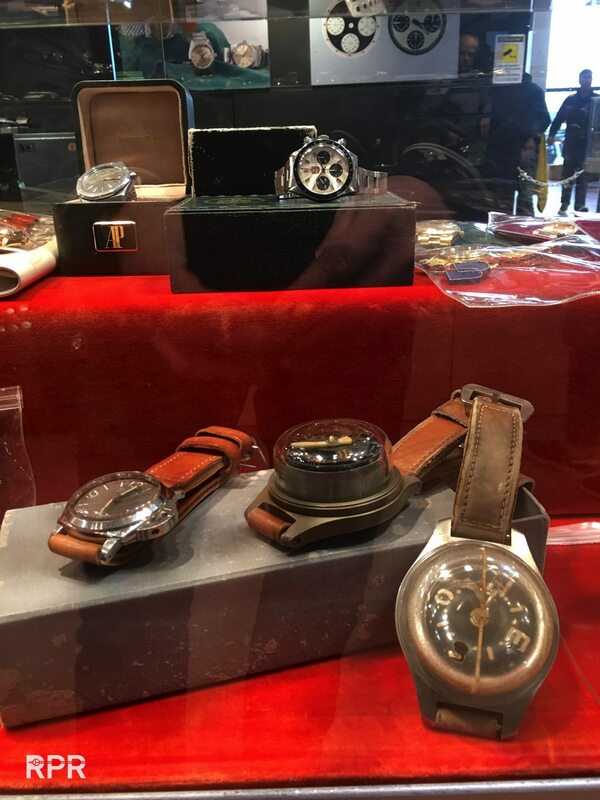 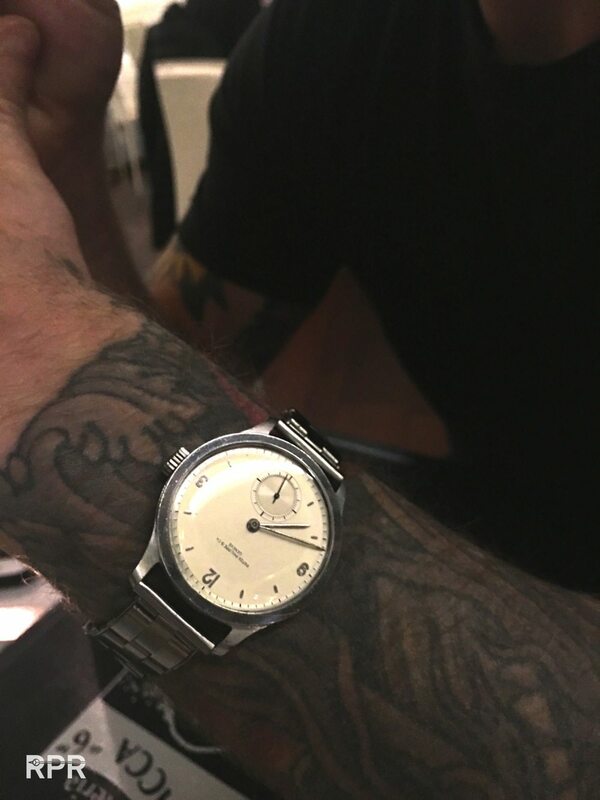 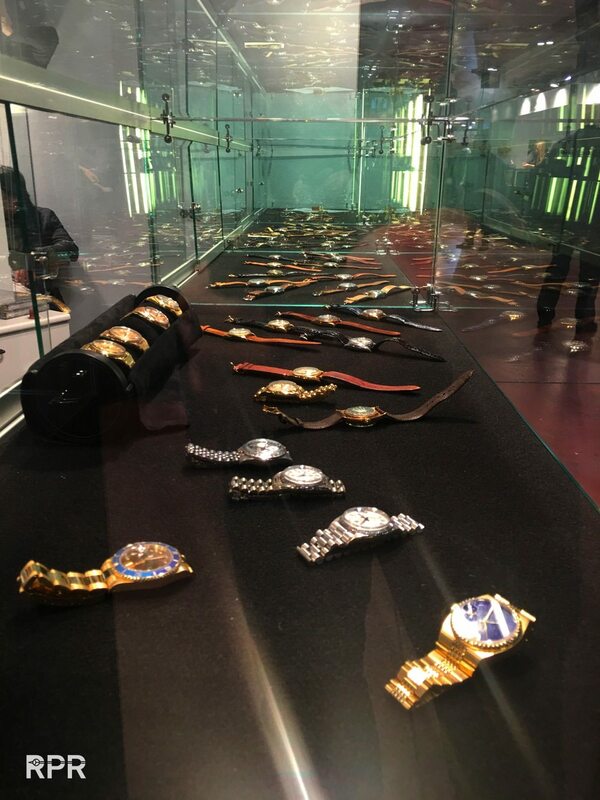 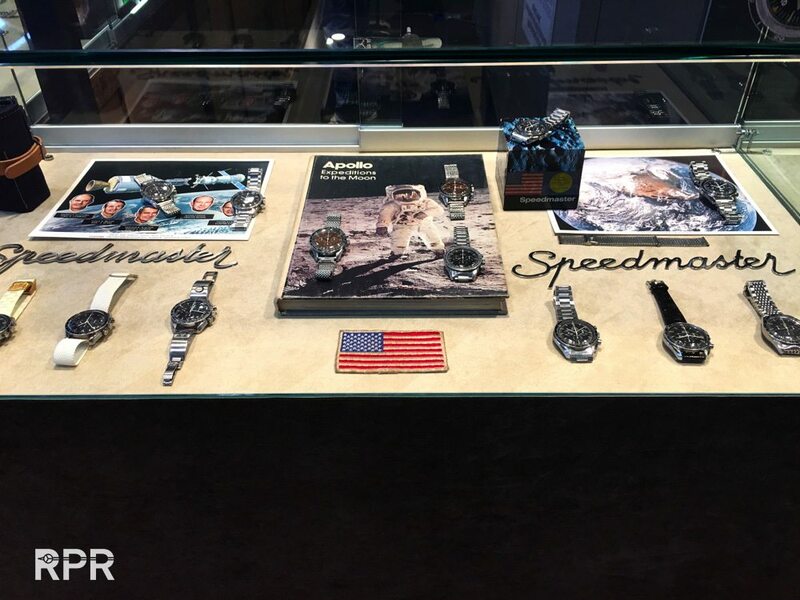 About the show, yes as every edition it’s becoming harder to find crisp and honest watches because everybody is looking for the same and hardly anything pops up anymore. 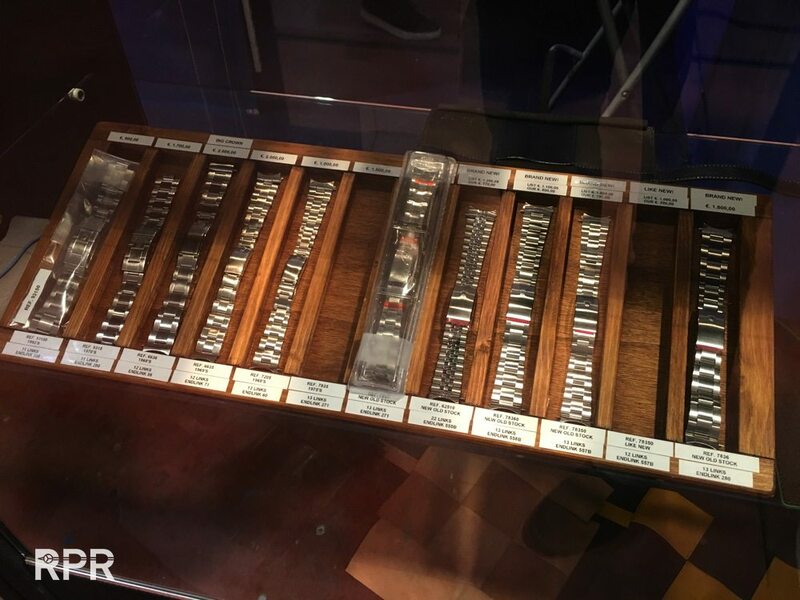 As it’s become impossible to find them from brands like Rolex & Patek Philippe, now also Longines, Omega, Universal, Heuer etc. 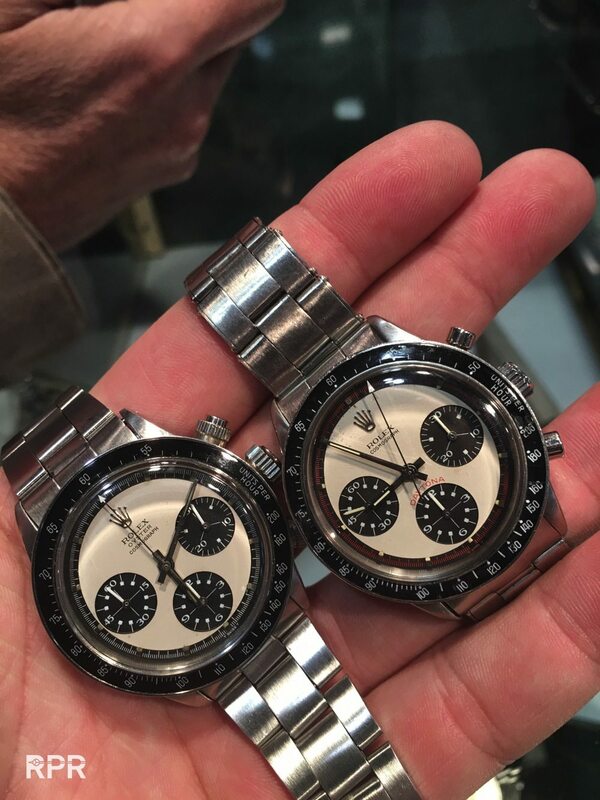 are very rare and sought after. 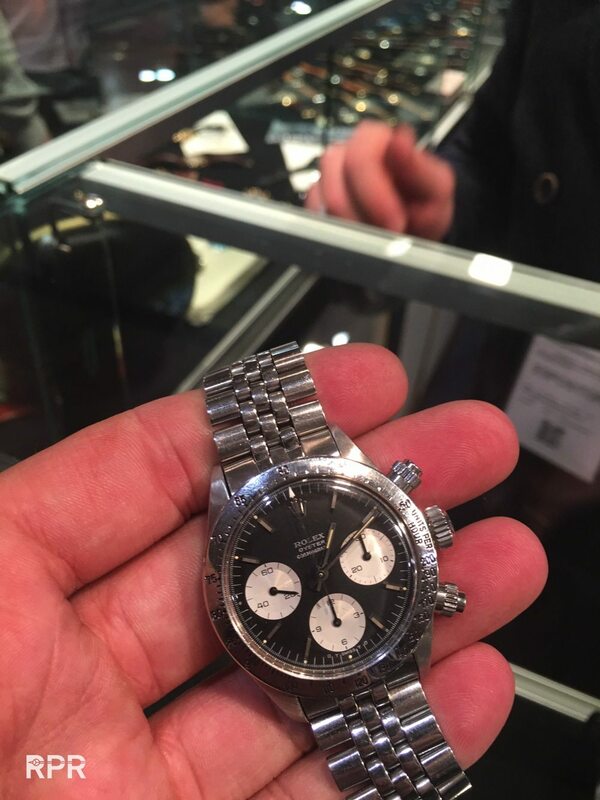 Then I noticed that after Longines made a price jump last years it’s now to Omega making a step higher in value. 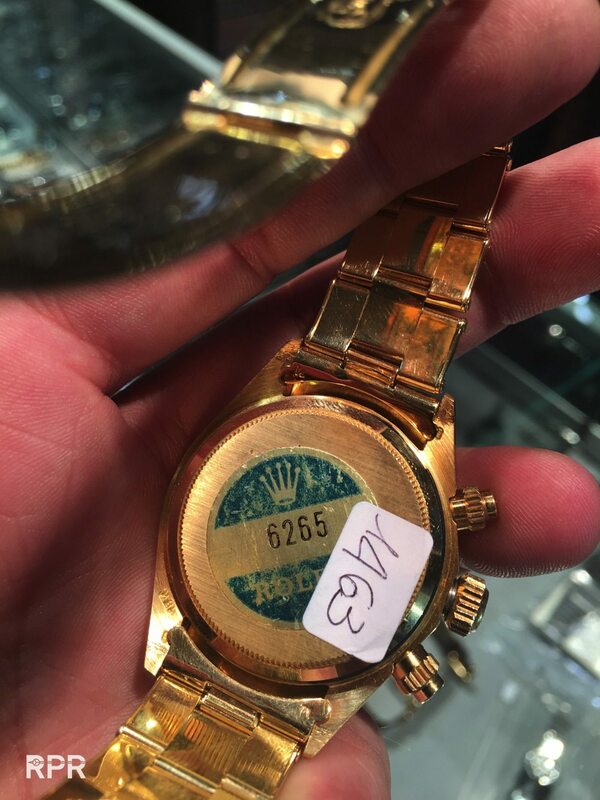 Price wise I wasn’t really shocked, it’s what I predicted, good quality will be higher in price then you think it is. 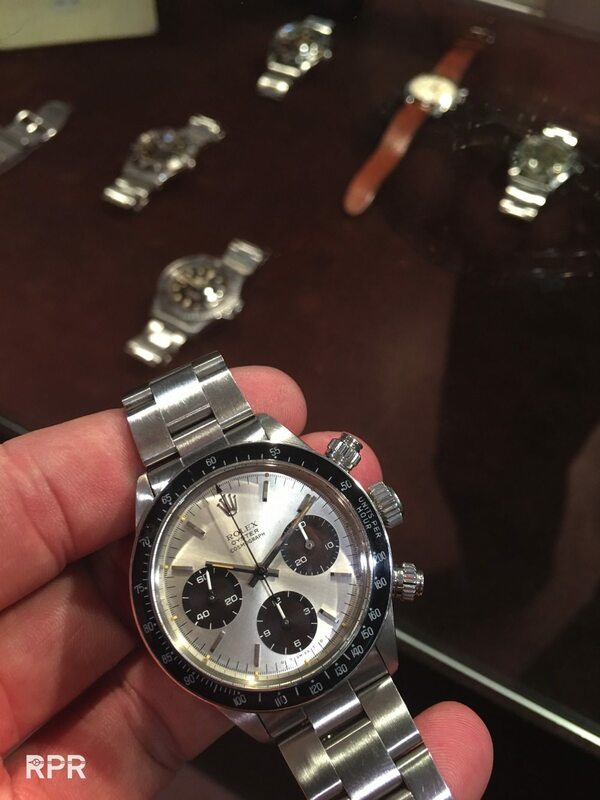 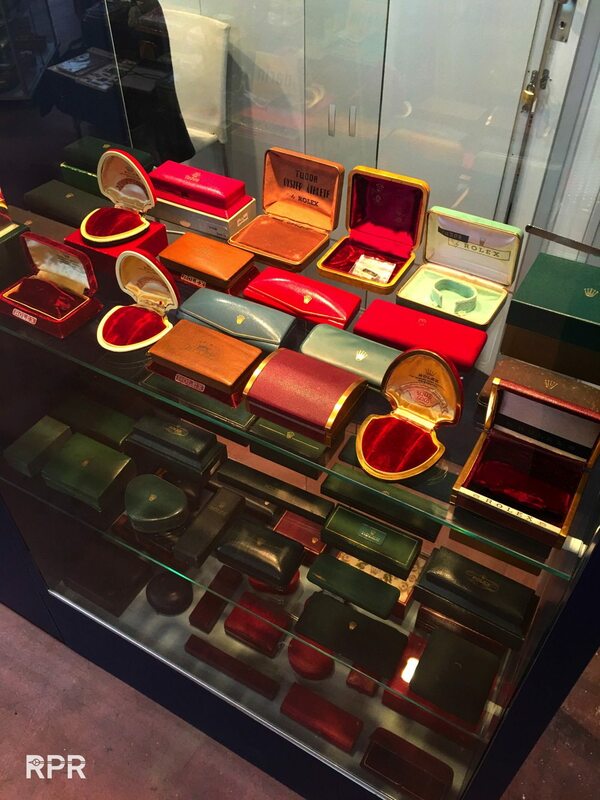 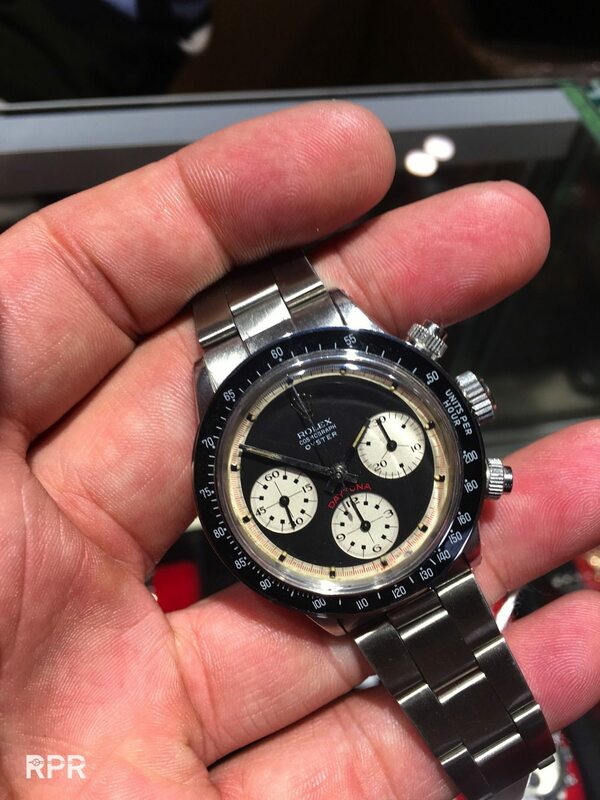 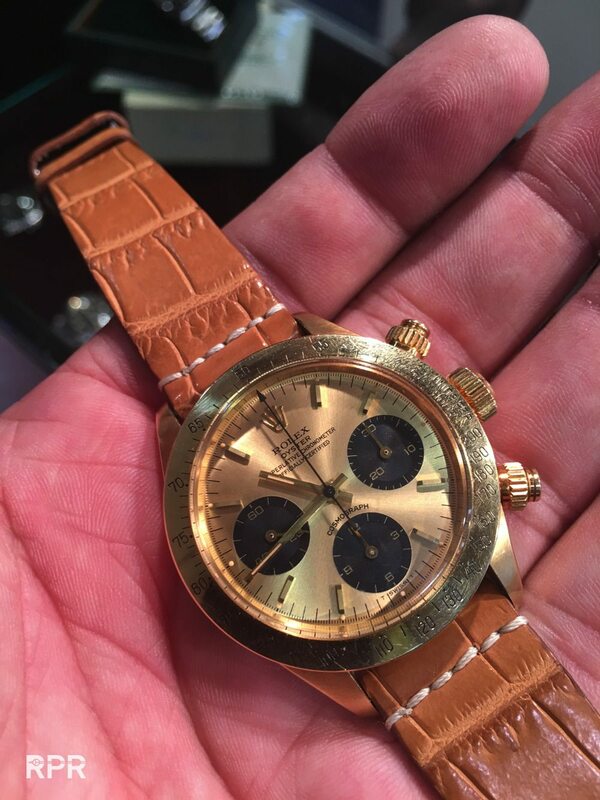 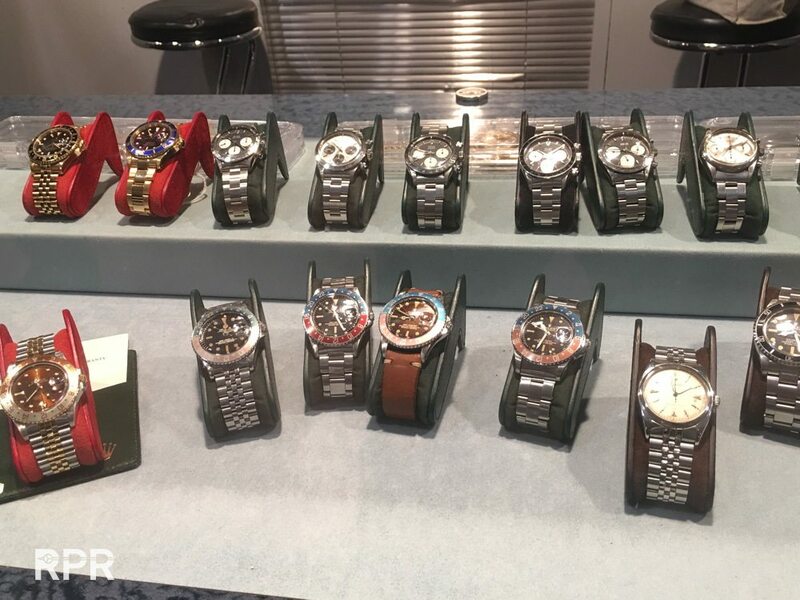 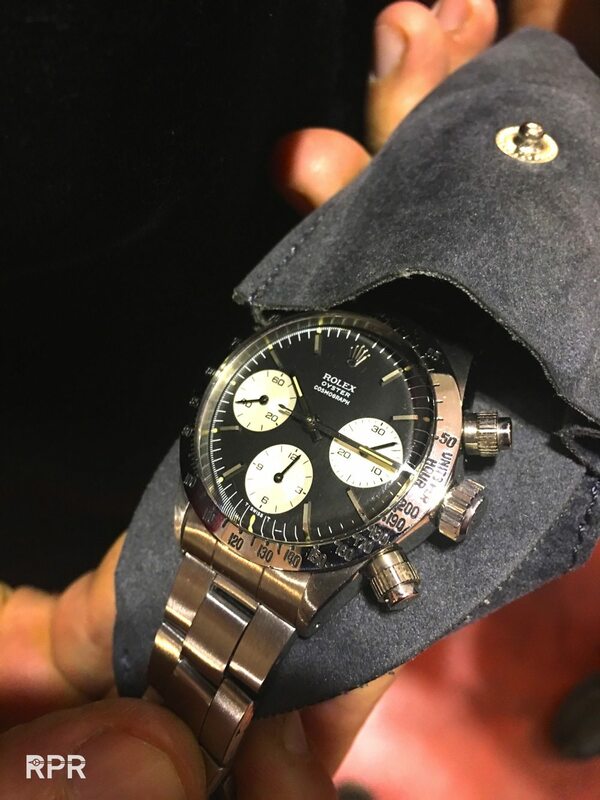 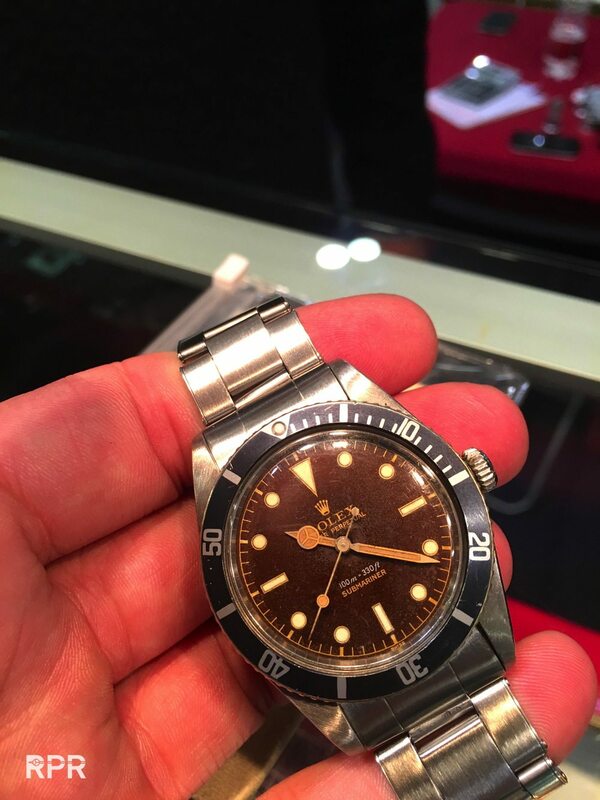 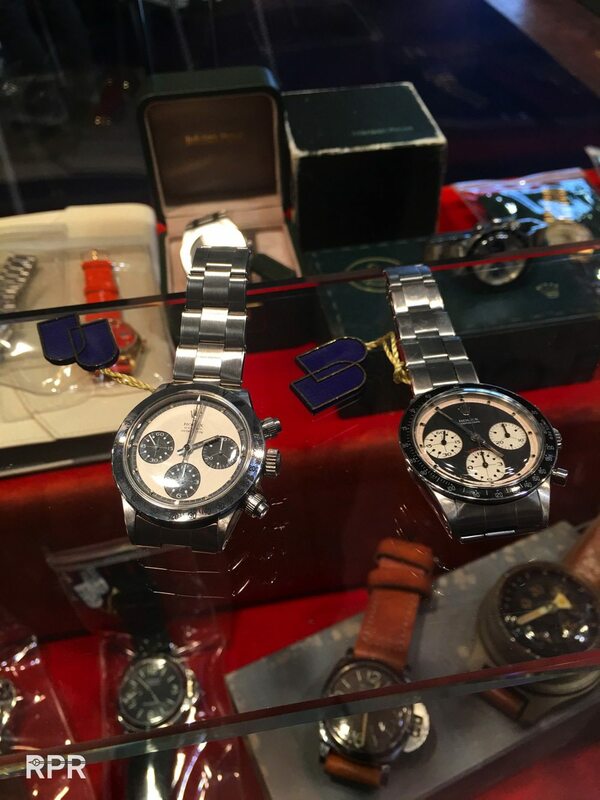 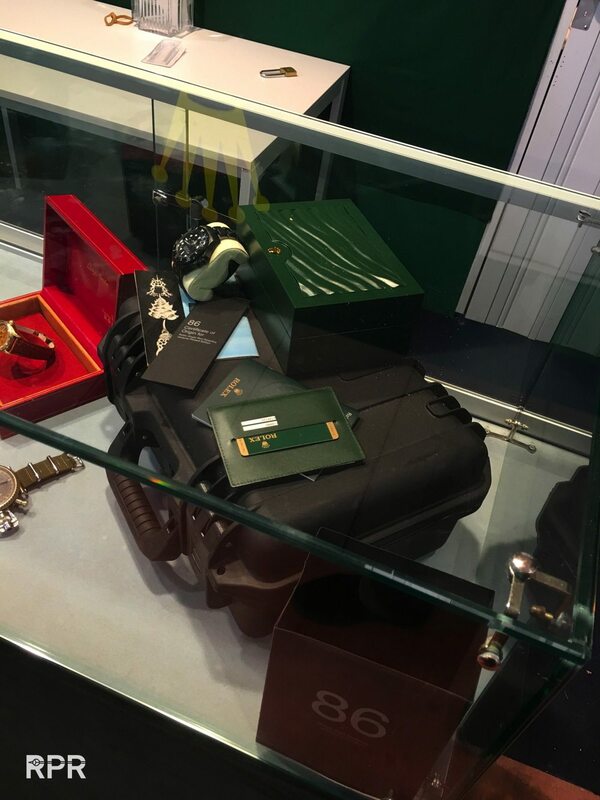 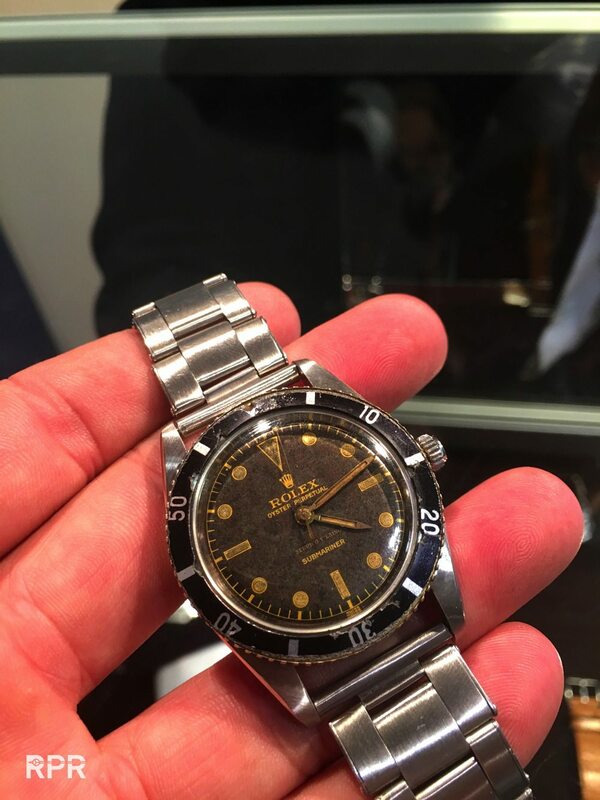 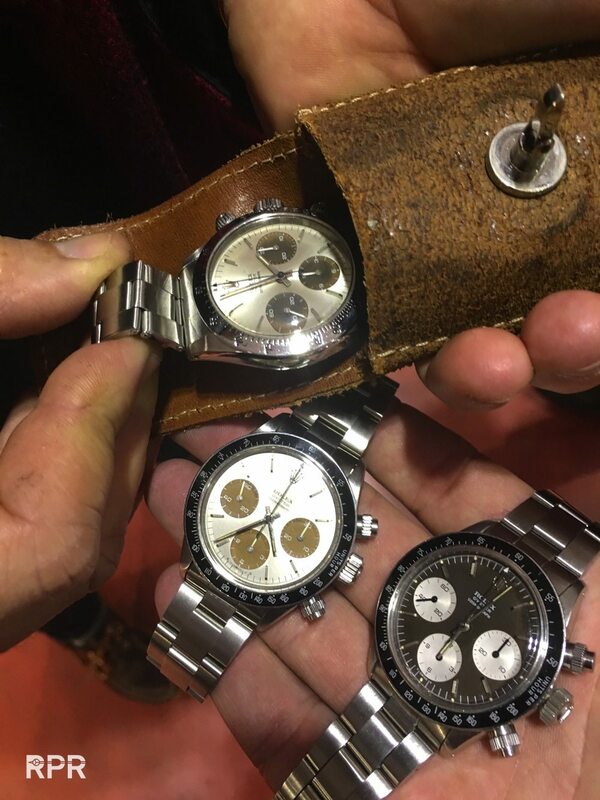 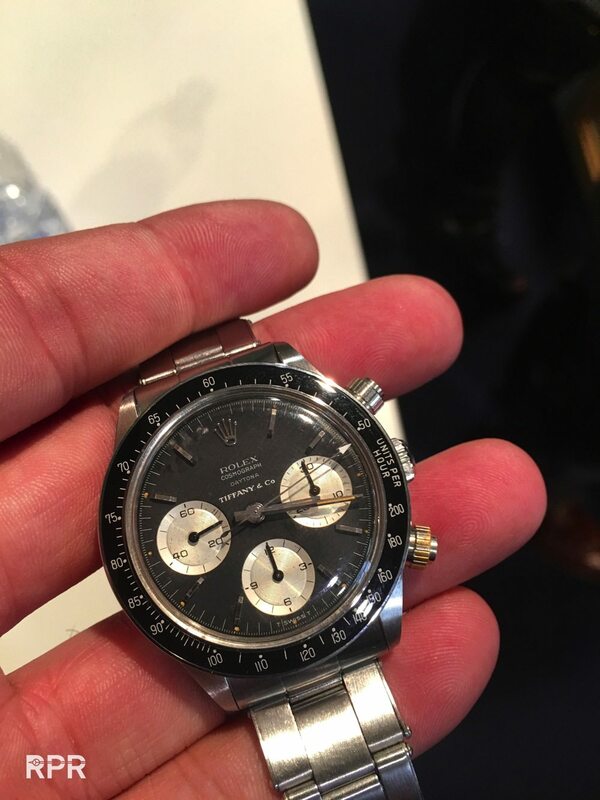 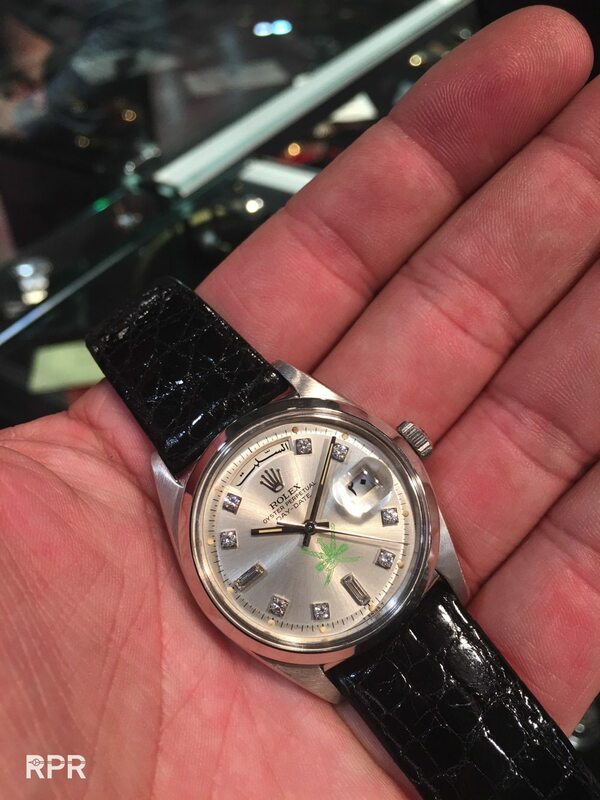 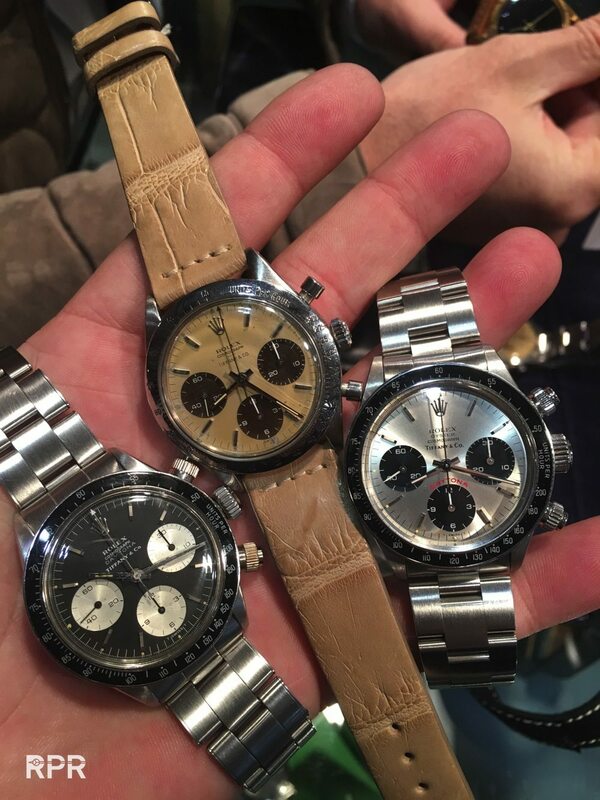 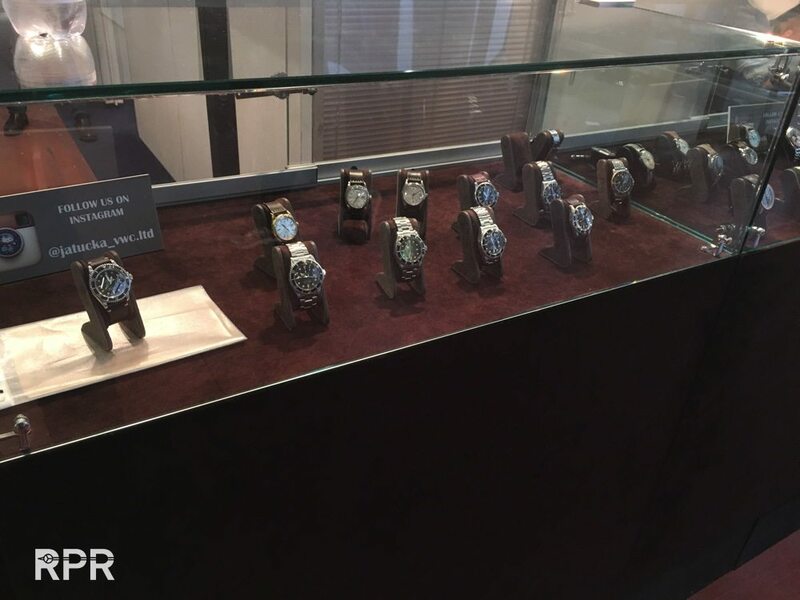 There where a good Big Crown, Milgauss or an Oyster Paul Newman is simply not for sale (maybe kept away in the safe to show privat clients only) I noticed many regular Daytona’s, GMT’s, Day Dates and Submariners are on display. 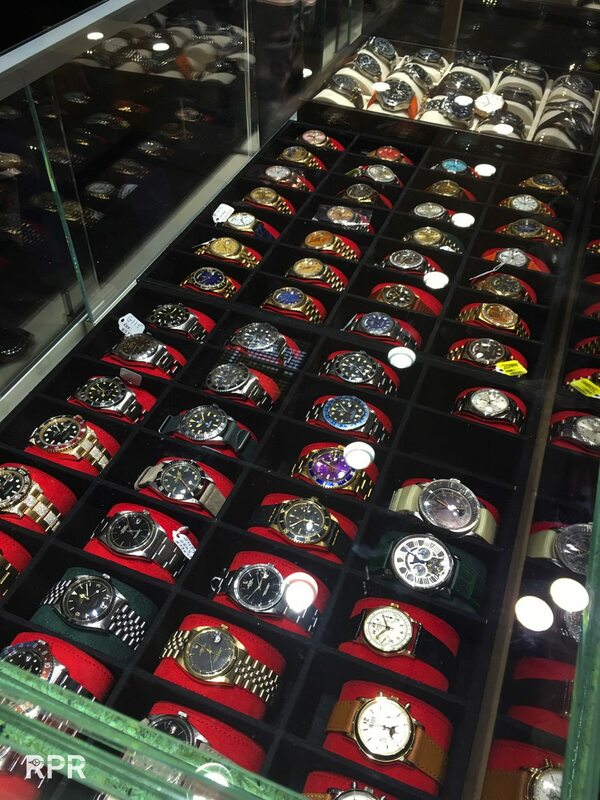 Off which more then plenty where available to choose from. 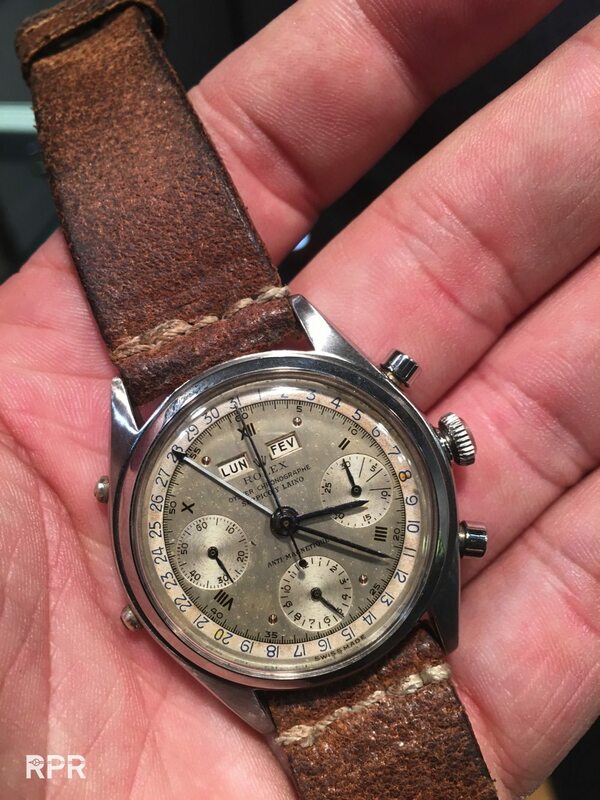 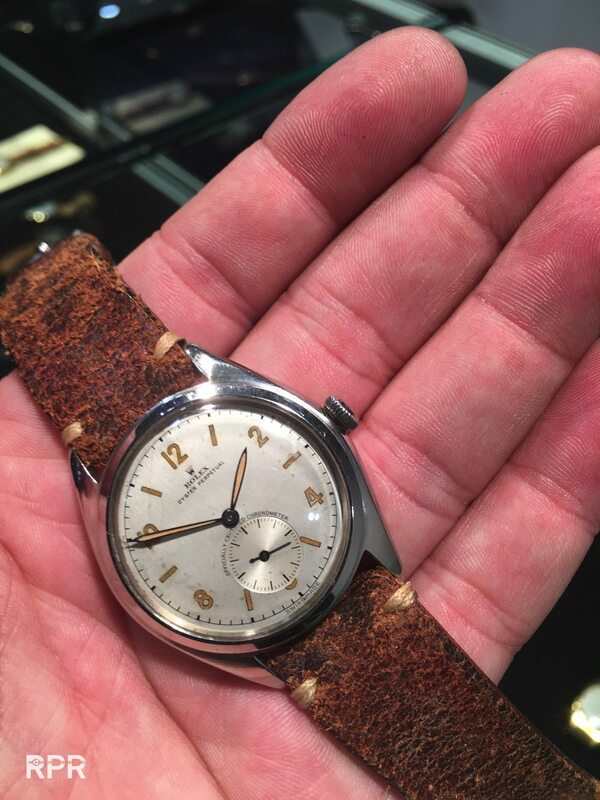 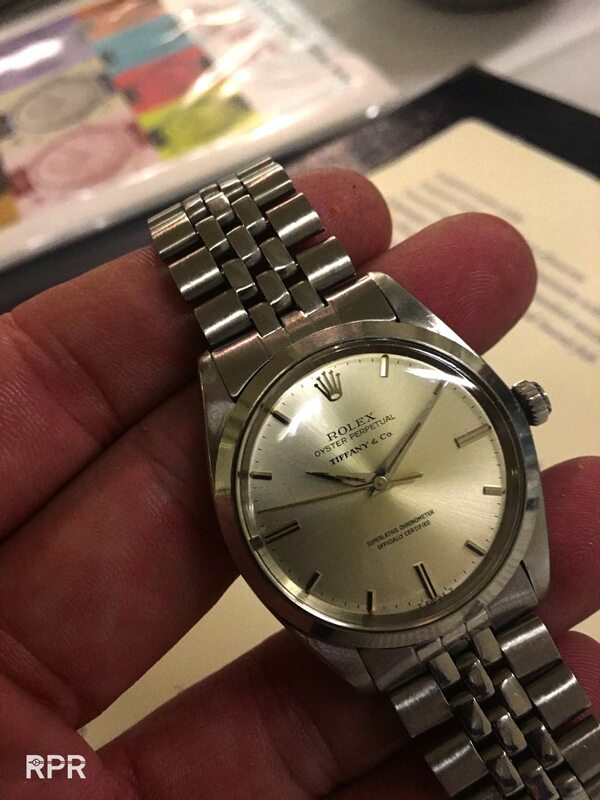 The all over condition was quite well, the trend of over polishing has gone, the dealer rather shows the watch as it’s found then he burns it by trying to cover something. 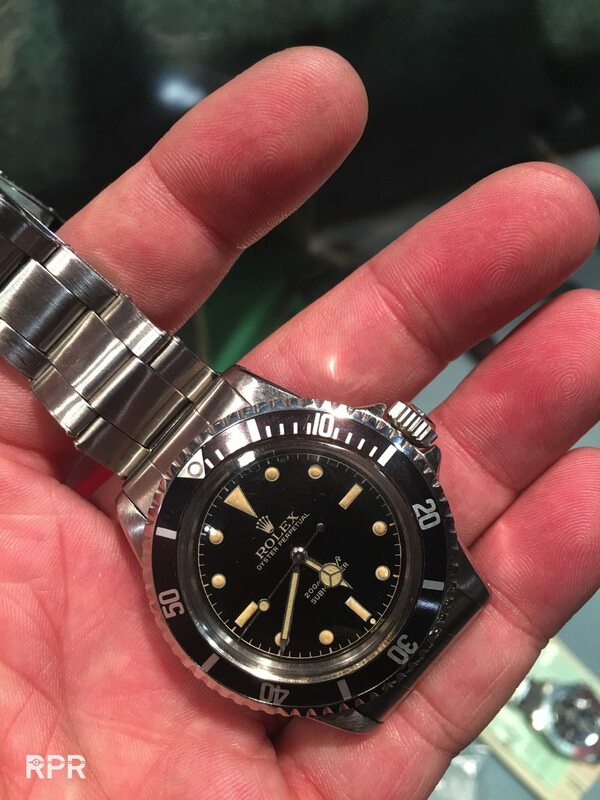 Then I noticed in some cases the restorations have become even better. 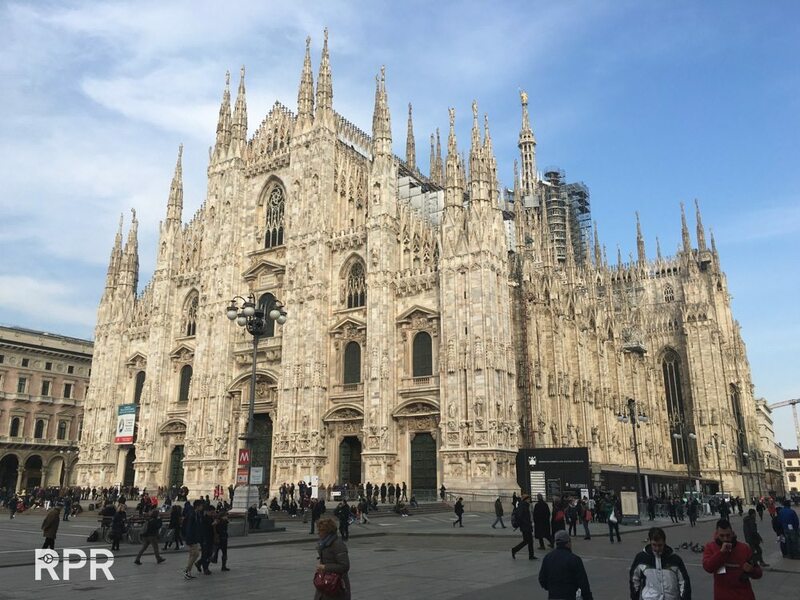 Specially the adding of new luminous dots have again improved. 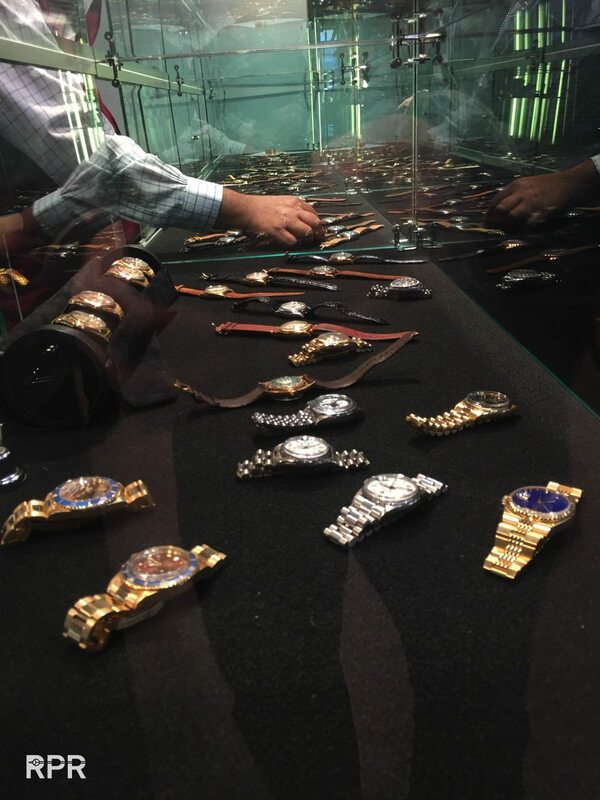 But the buyers have become very professional and see everything that has been done after many hours of practicing. 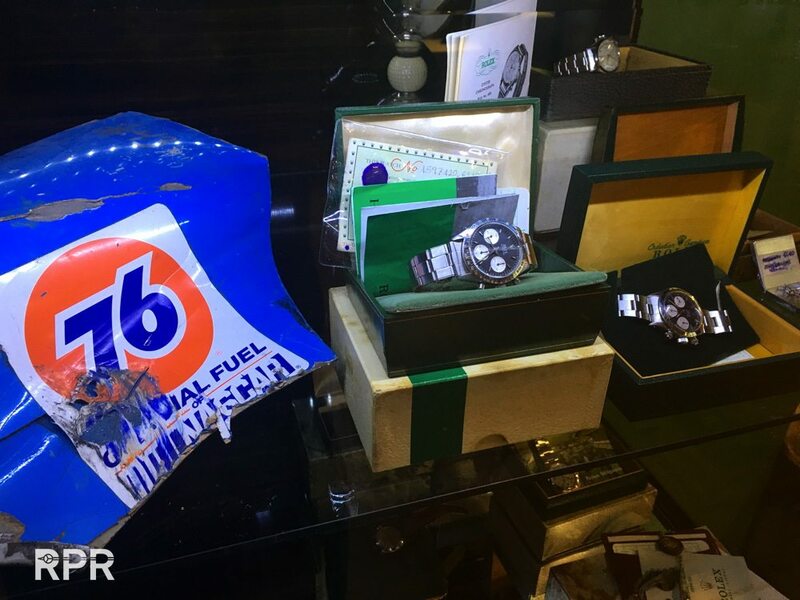 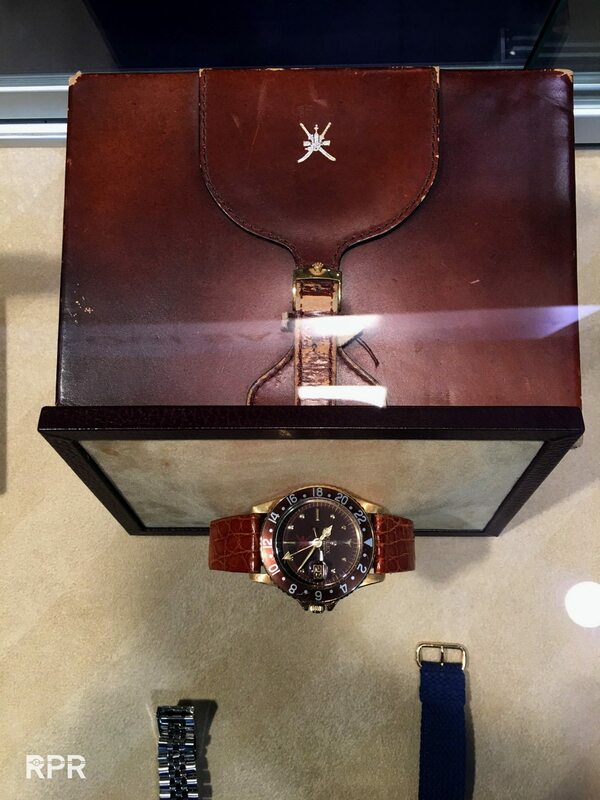 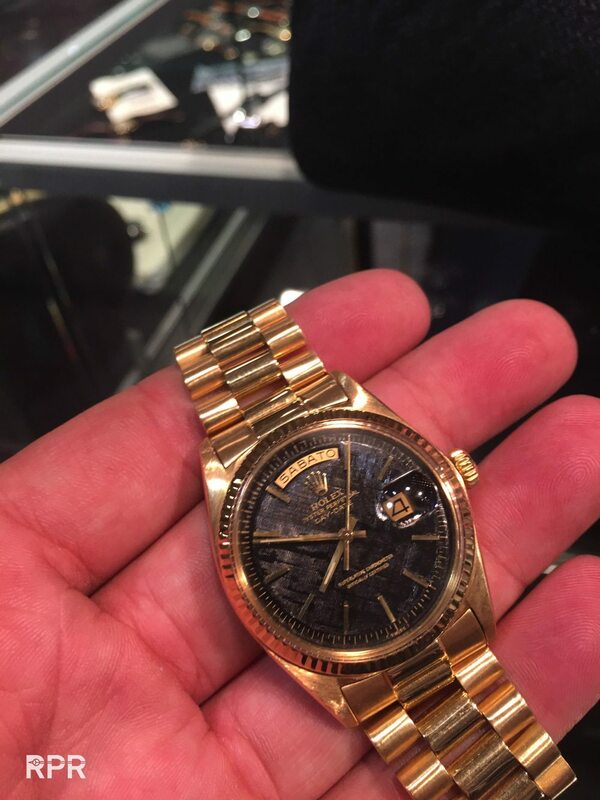 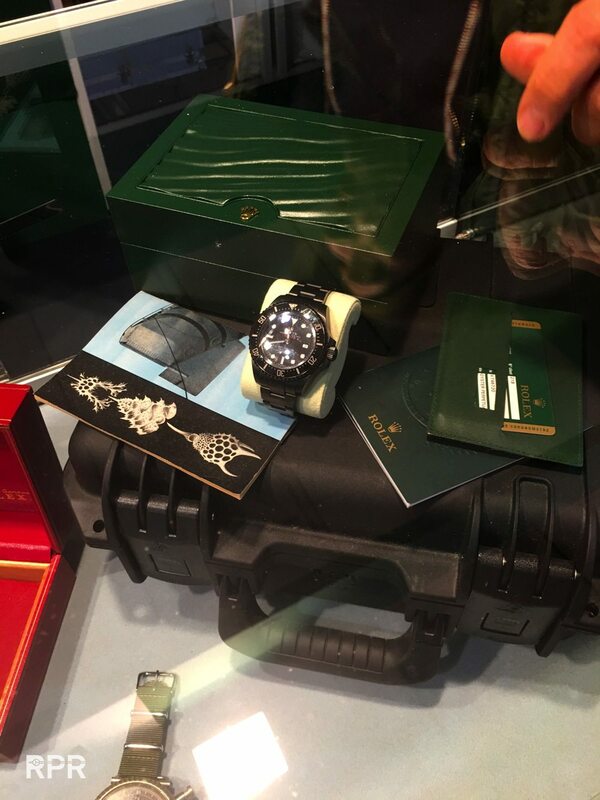 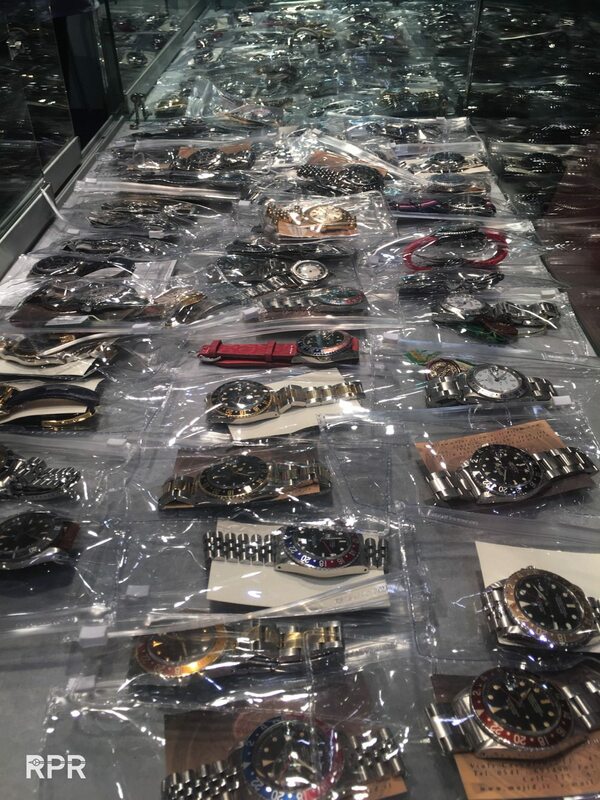 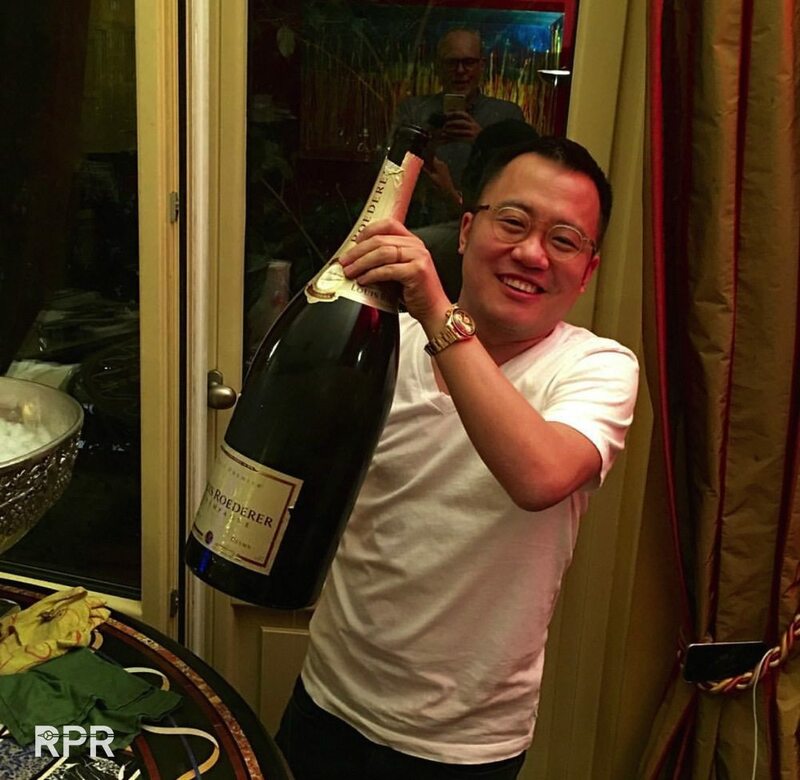 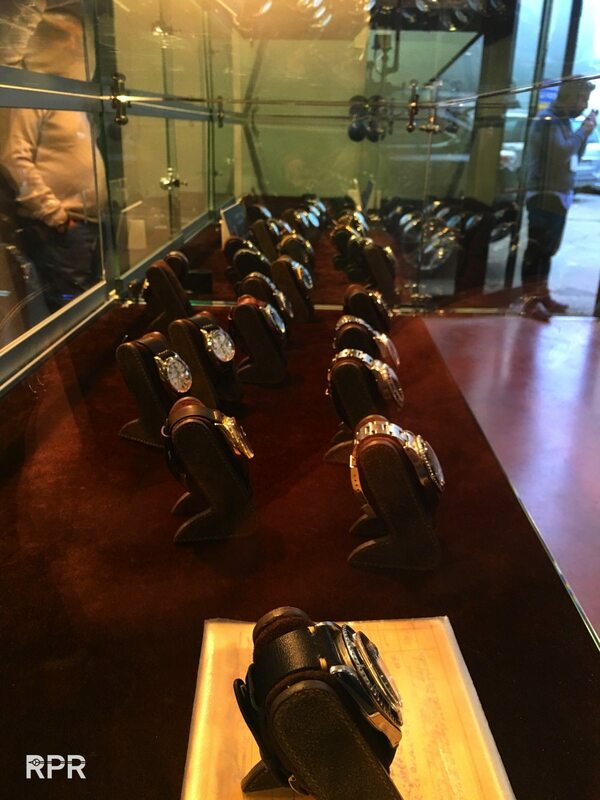 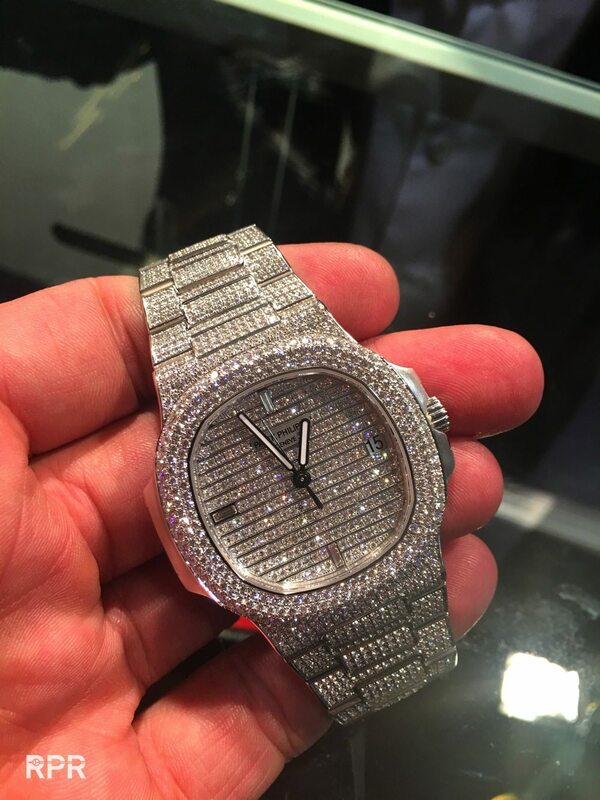 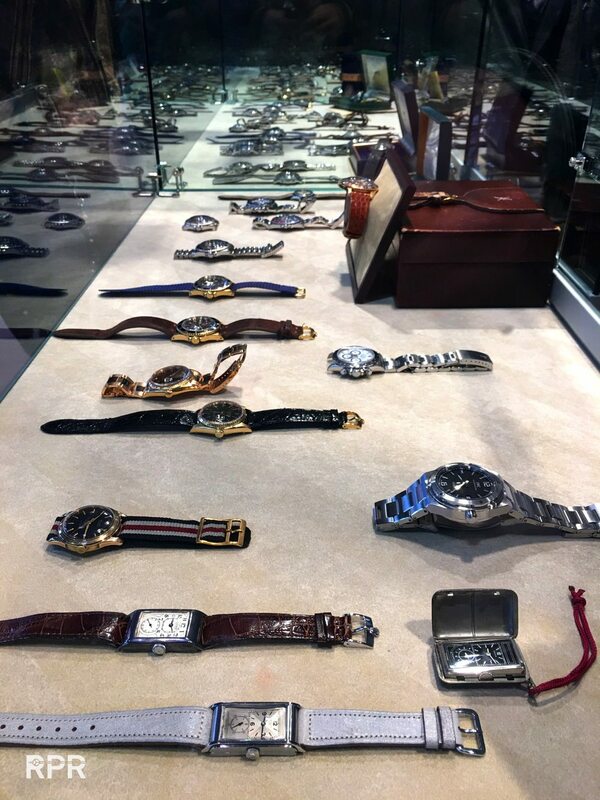 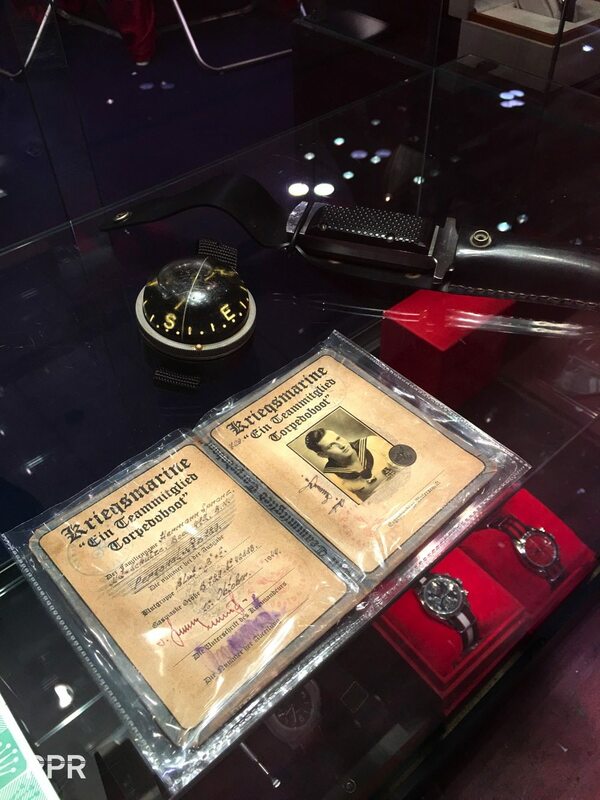 I have seen lot’s of deals made around me, many foreign watch dealers went home with new stock in their pockets. 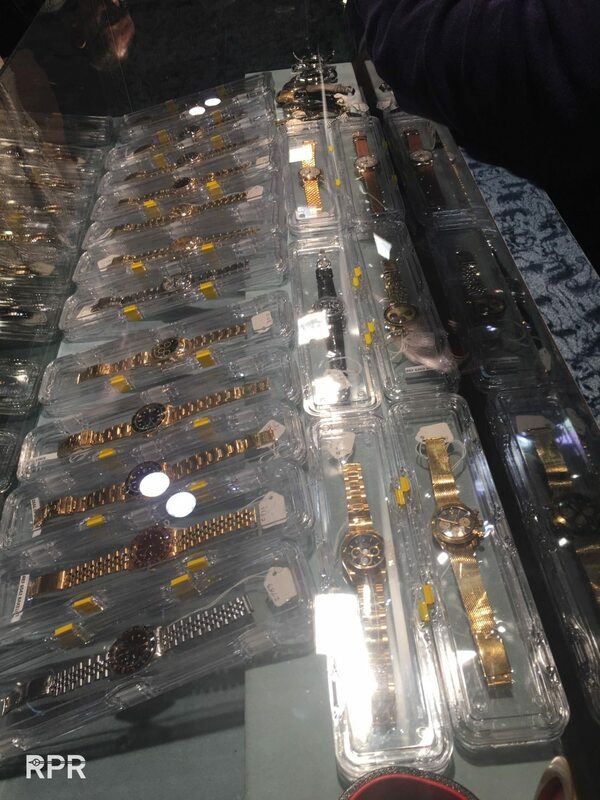 I think the business will be less on the regular days as all the focus is on the hectic Friday dealers day and the first weekend. 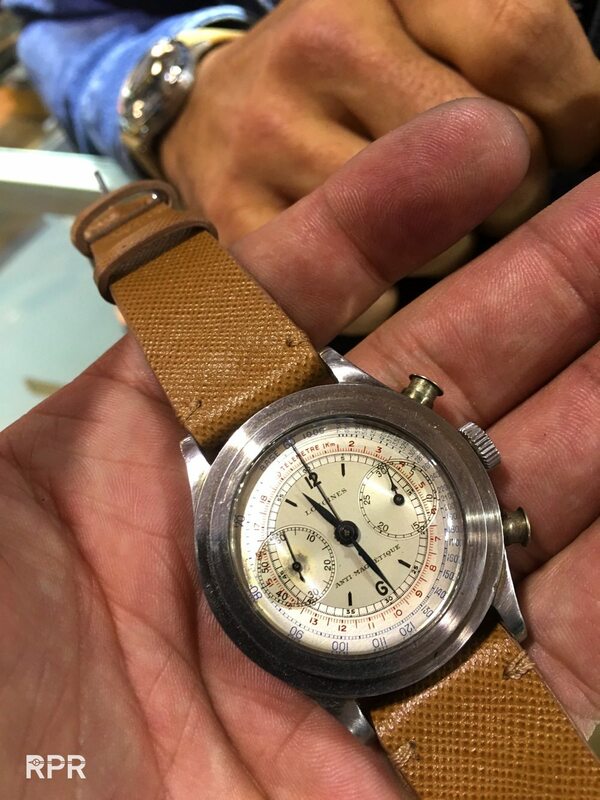 Al with all I was impressed to see so many people are interested in vintage watches! 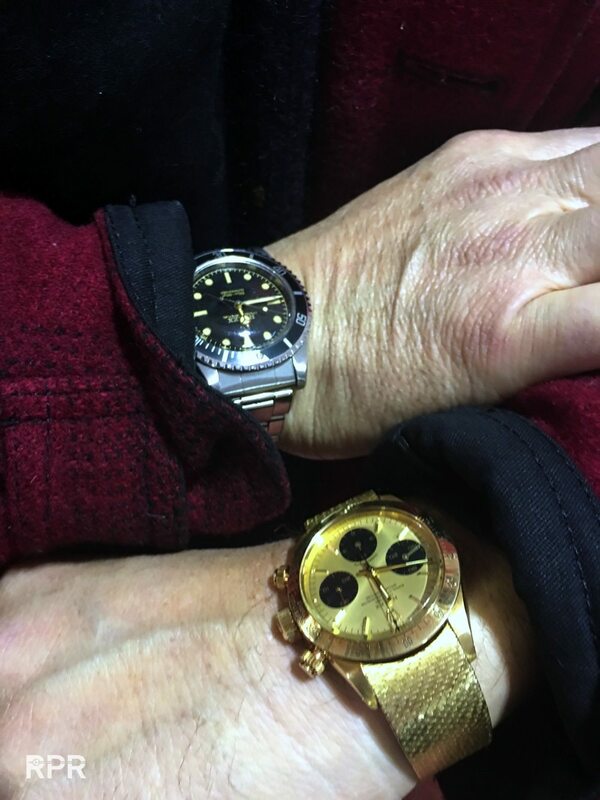 So far everything I wrote in my “Vintage Rolex 2016 Predictions” seem to come through. 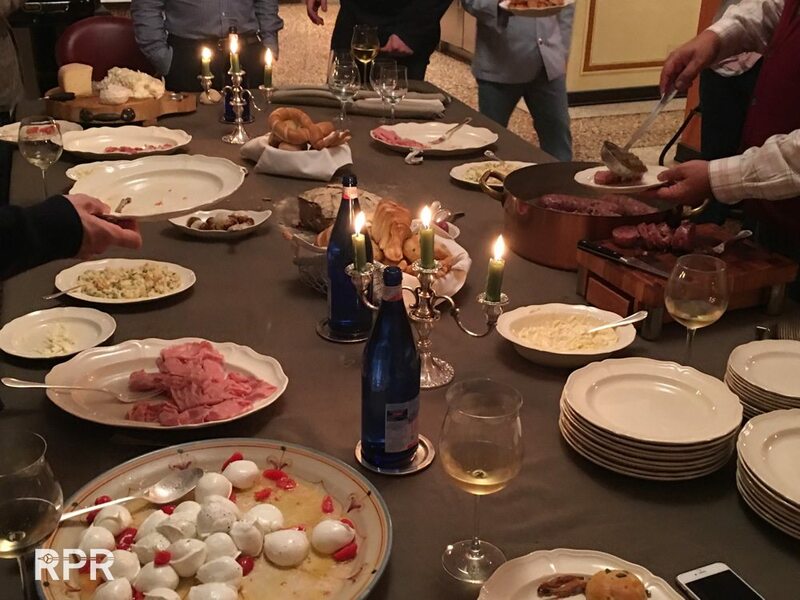 I’ve not found any exceptions at Parma yet. 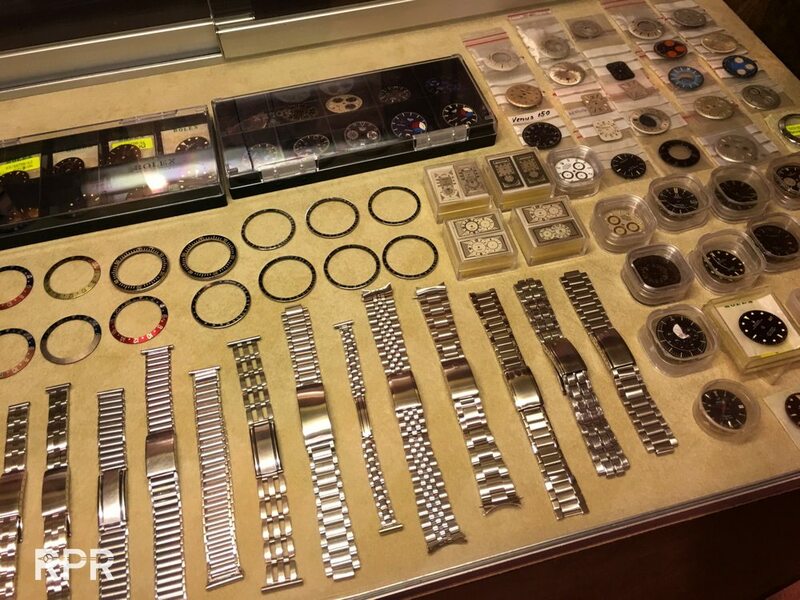 Original quality is king!! 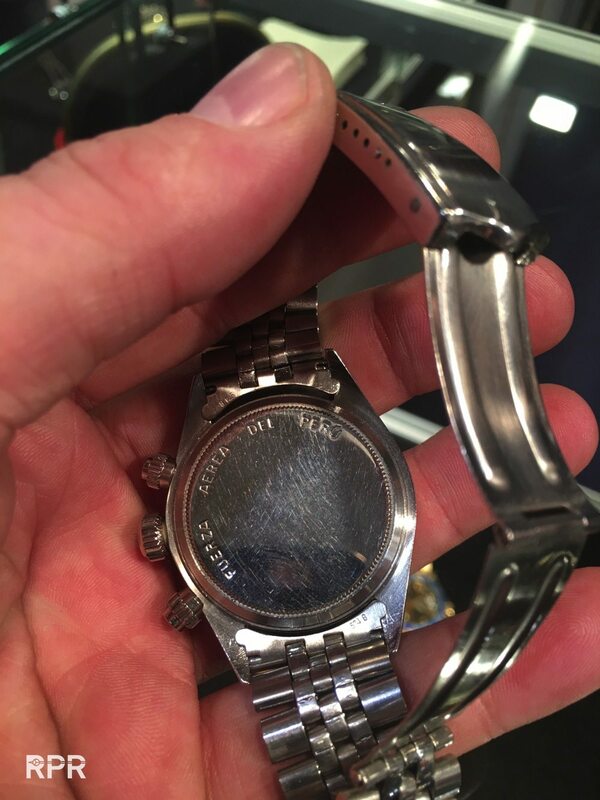 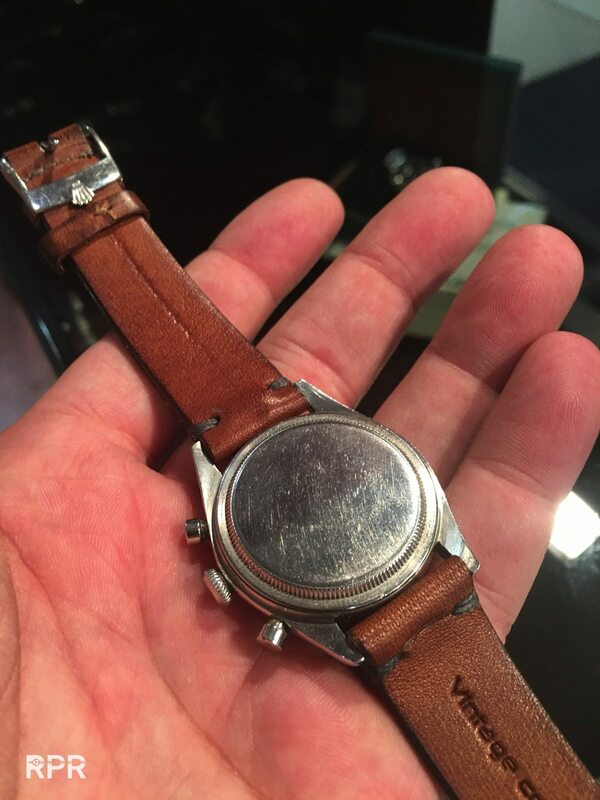 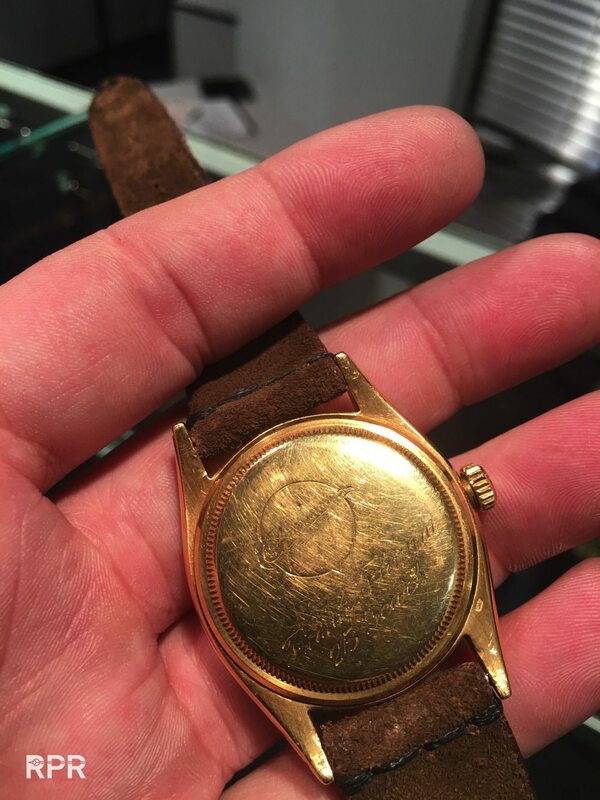 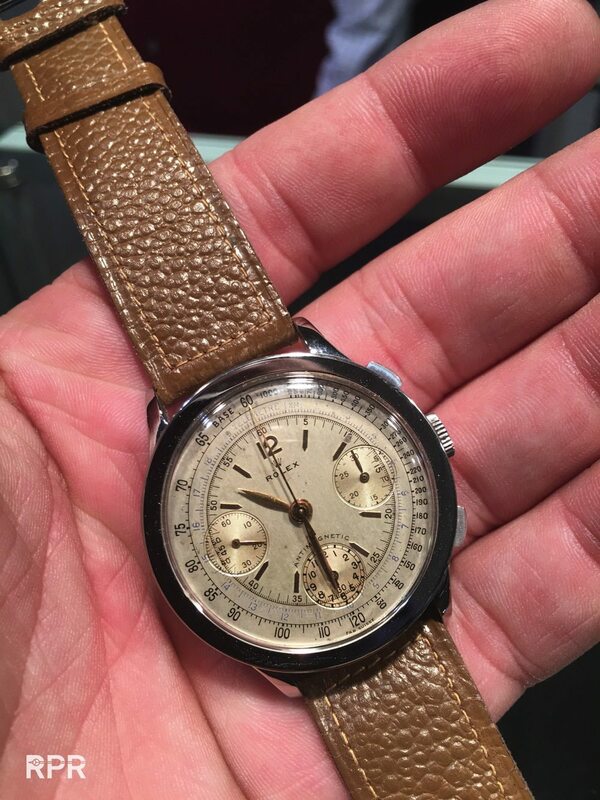 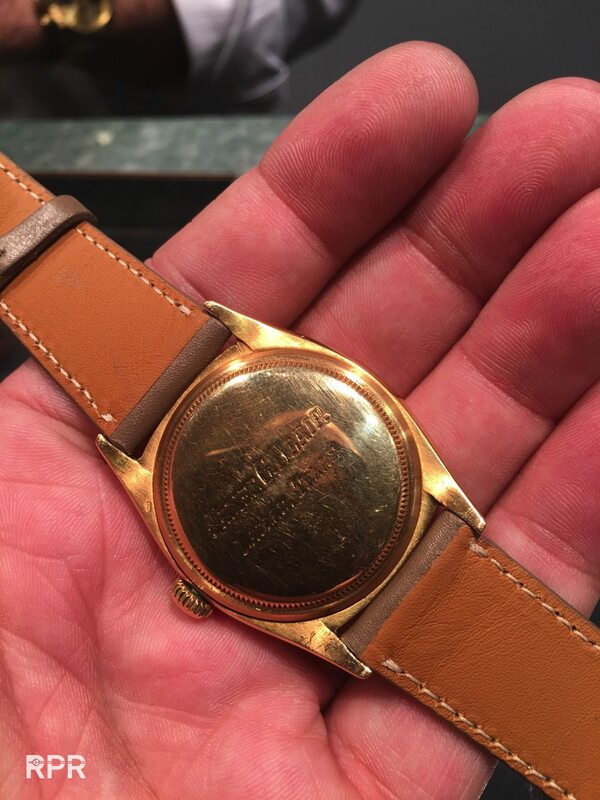 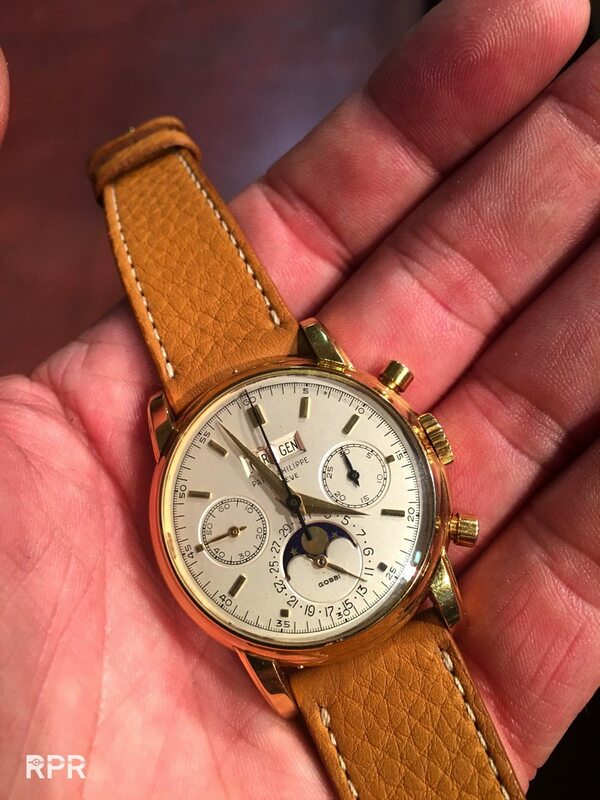 Serial numbers are clearly visible in the case back..
Waterproof Patek Philippe Ref 1463..
As always do your own due diligence before you buy any vintage Rolex. 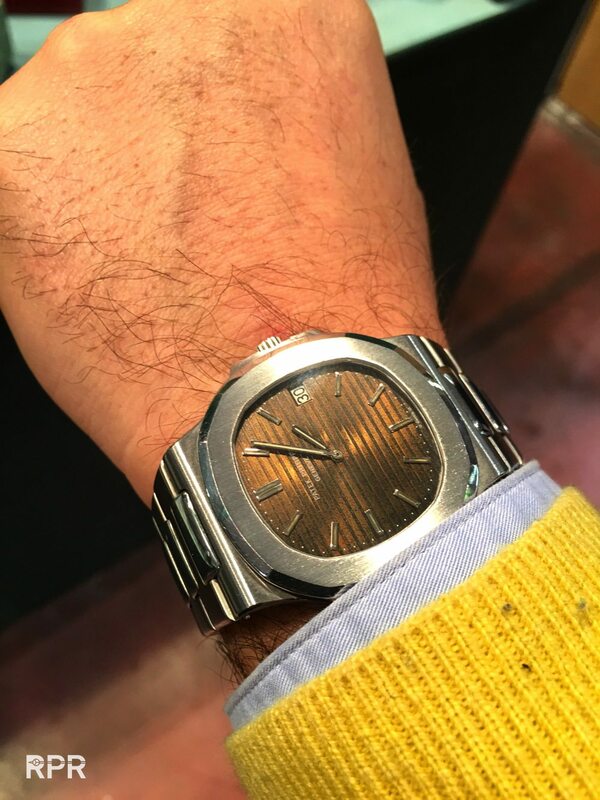 Check my Buyers Guide that will help you to determine the originality of the watch you get offered or see for offer of watch shows like Parma. 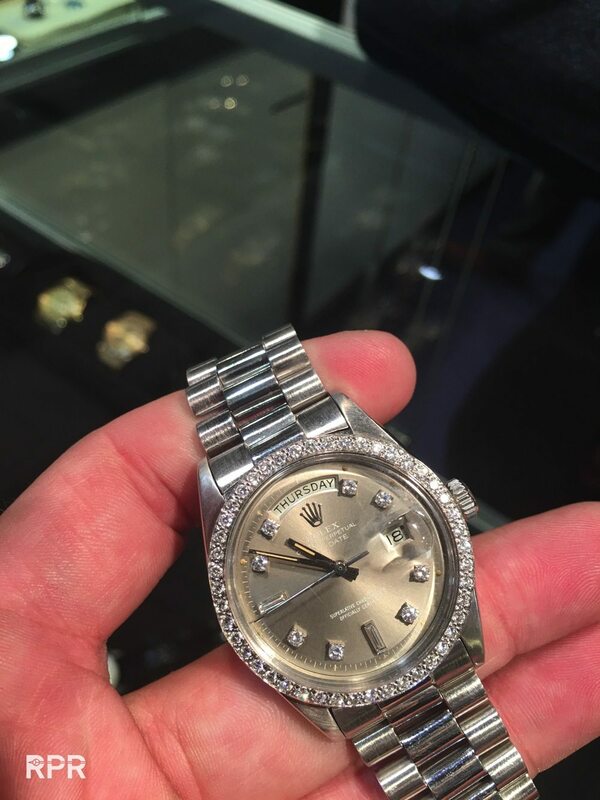 A serious dealer will answer all your questions! 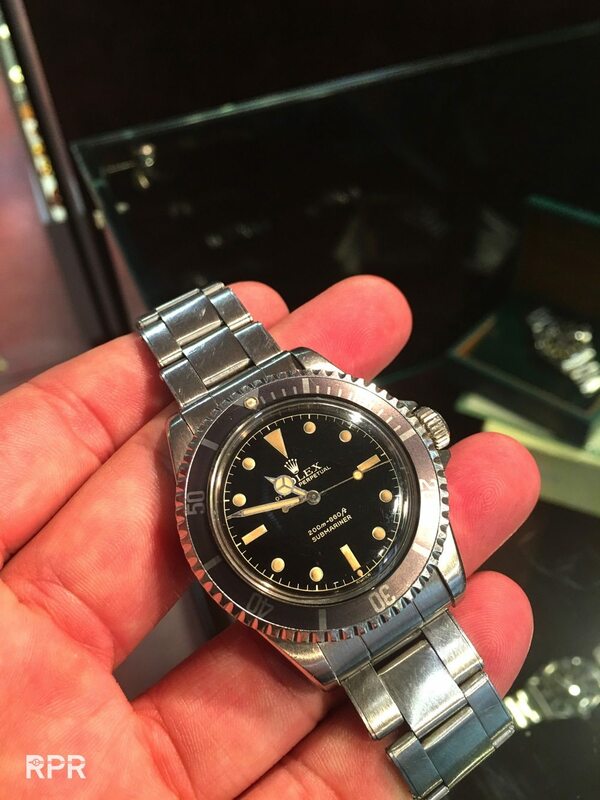 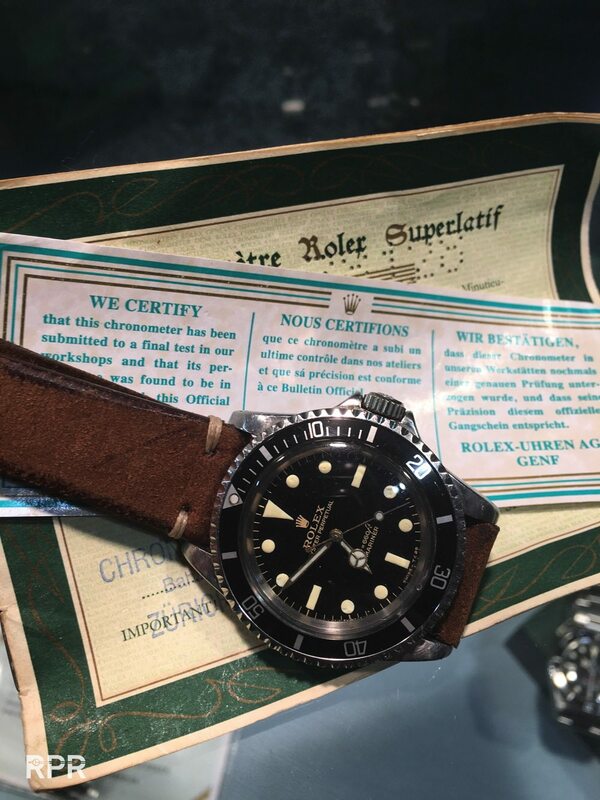 € 215.000 for this PN Oyster..
One of the Rolex Jacques Piccard Single Red DeepSea’s Jerrel and I made in 2008 was for sale, asking €35.000,= ( which is like 3 times the sales price we asked 7 years ago at introduction) Great investment. 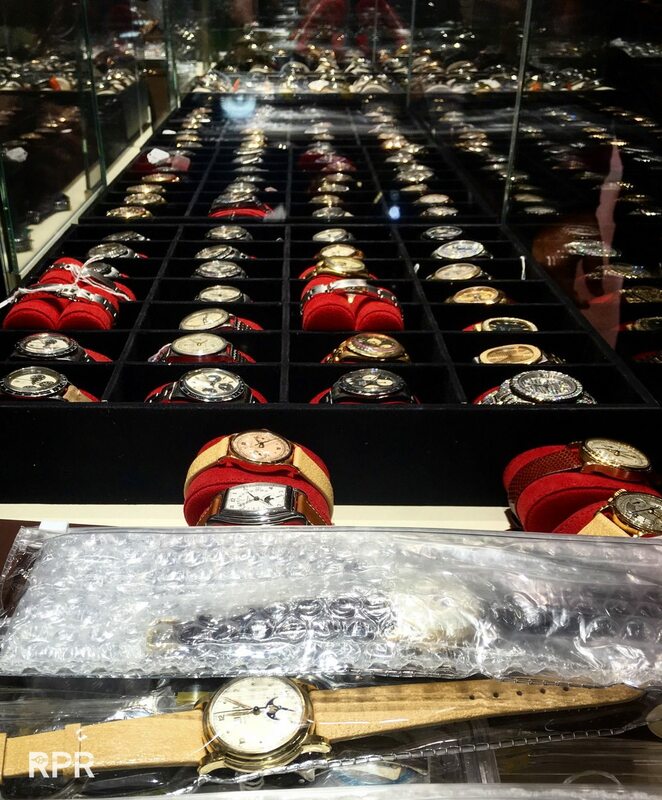 We made 86 collectors happy! 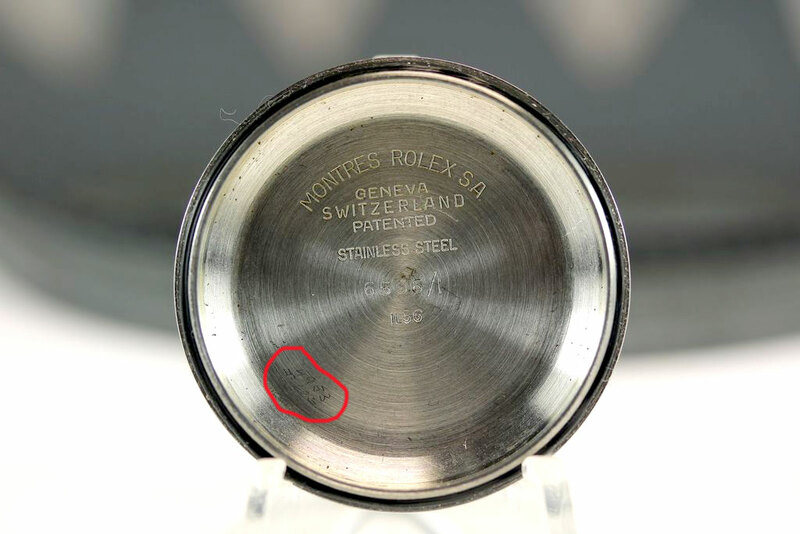 Is this the correct focus? 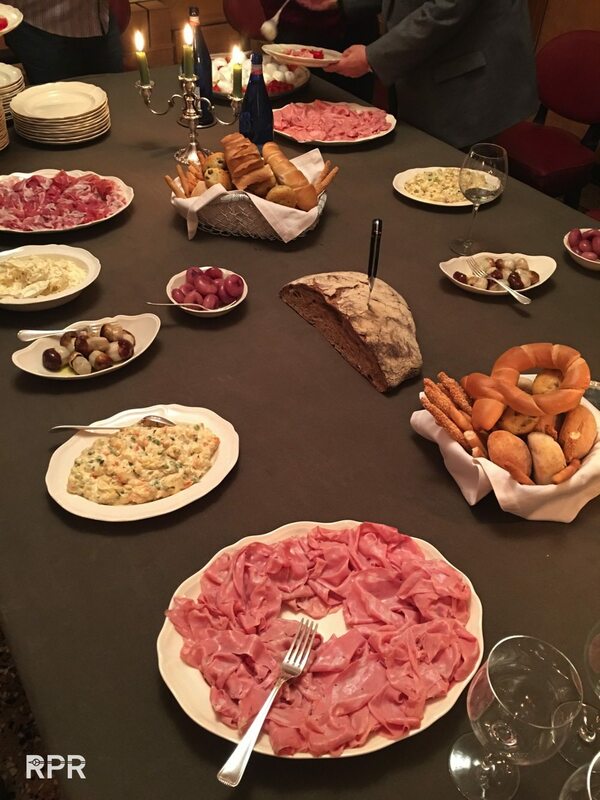 Wonderful dinner & drinks with great friends at Davide’s place. 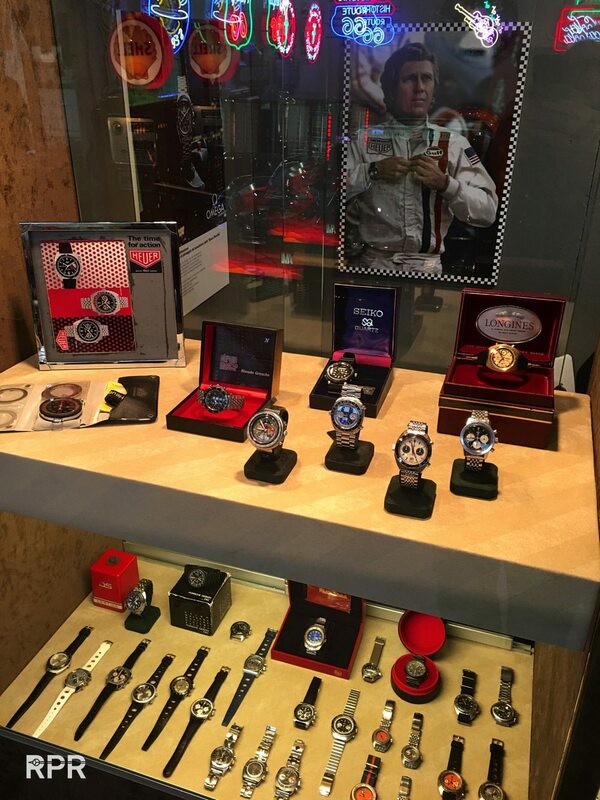 Many thanks again!!! 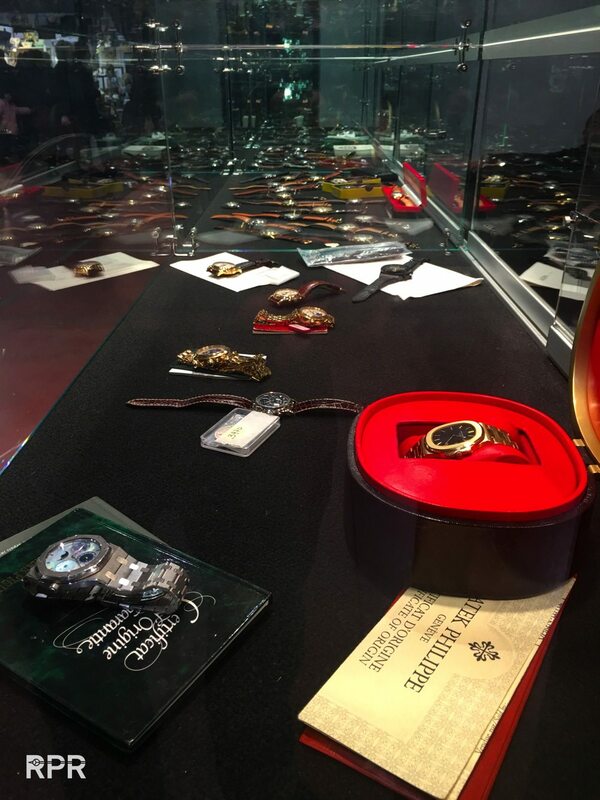 The arms of 1 collector, bravo Mario!.. 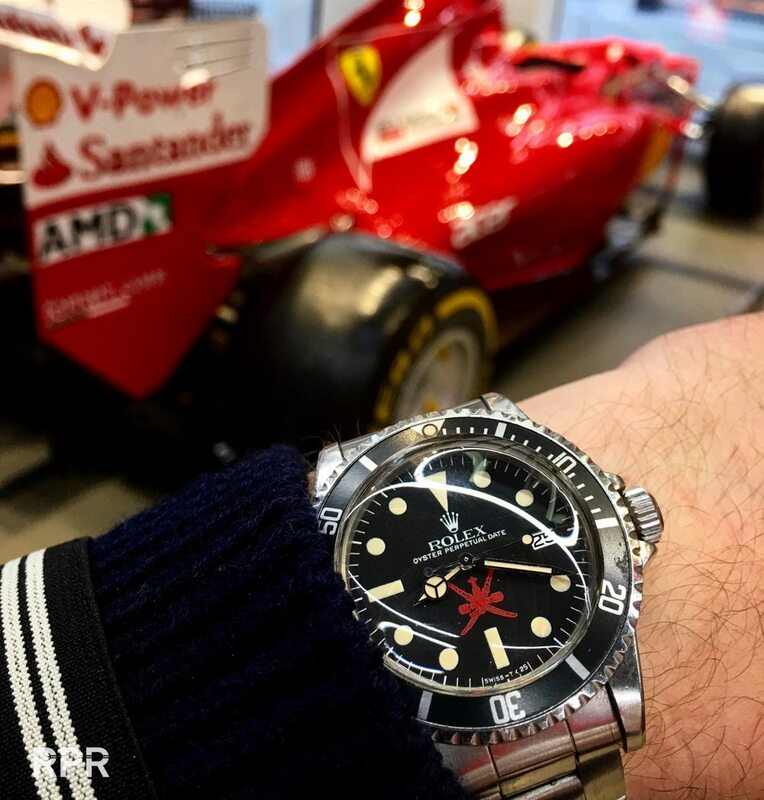 This post was written by Philipp on February 28, 2016.